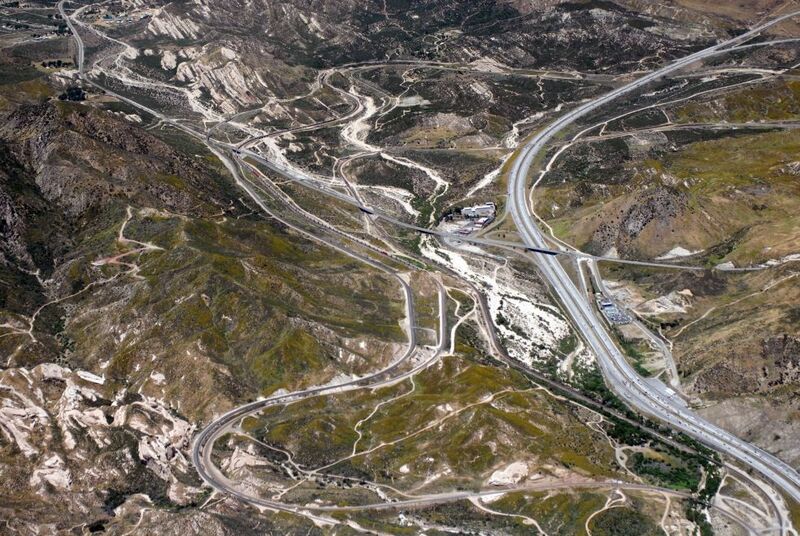 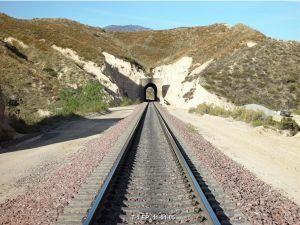 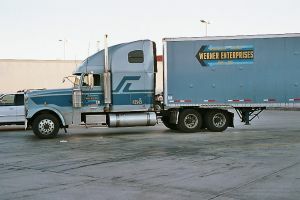 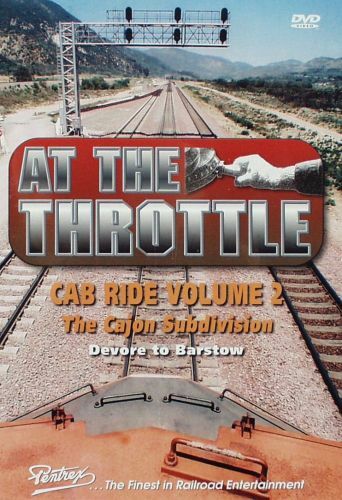 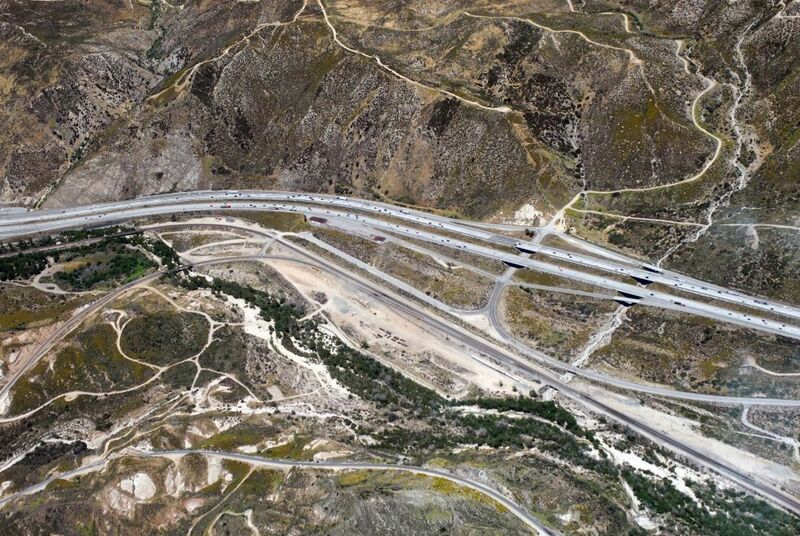 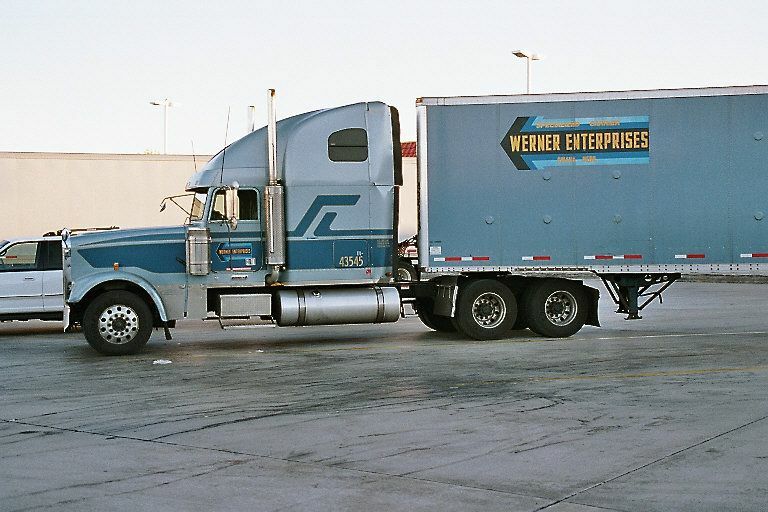 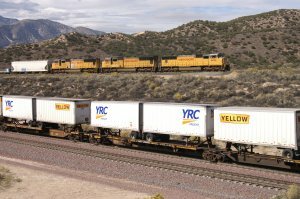 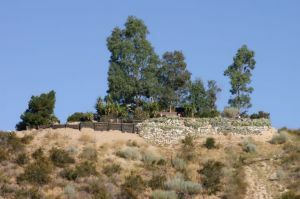 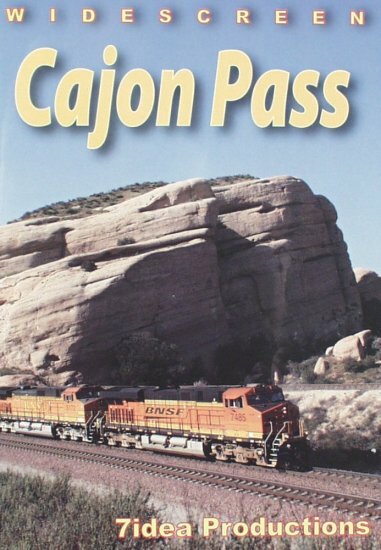 Here you can find a lot of interesting information and photos about Cajon Pass. 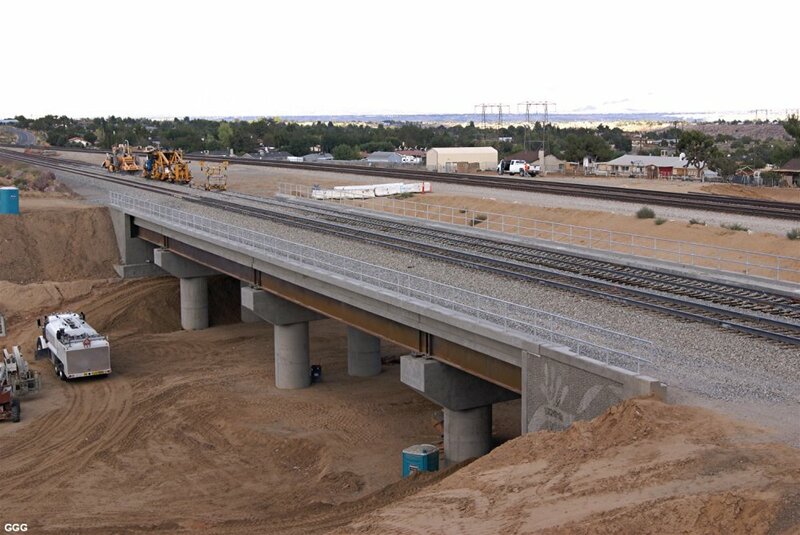 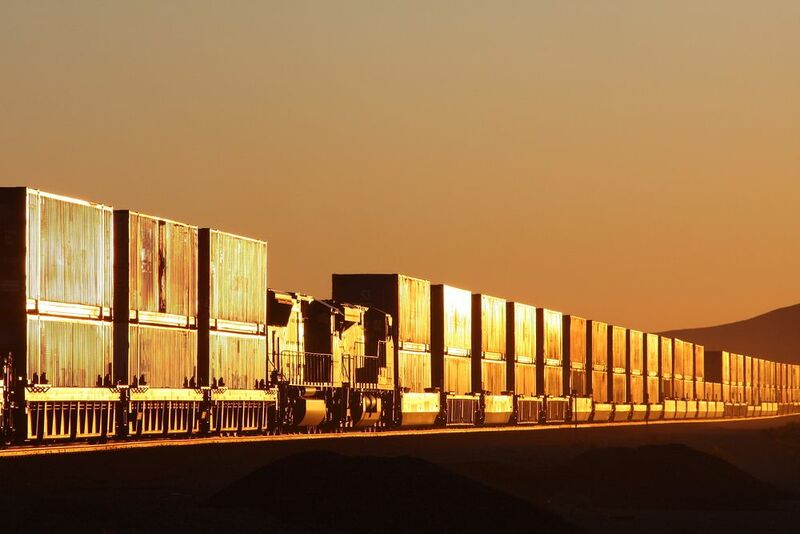 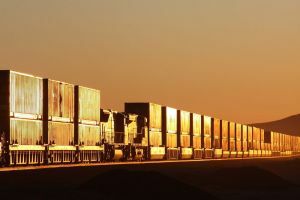 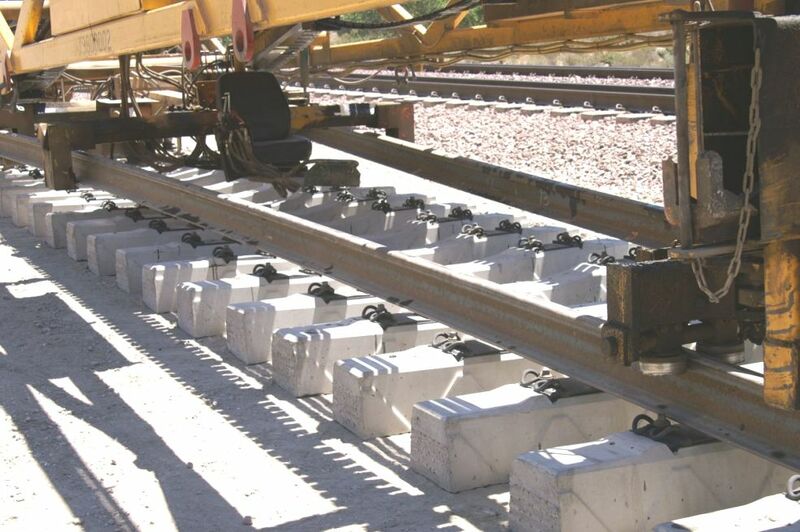 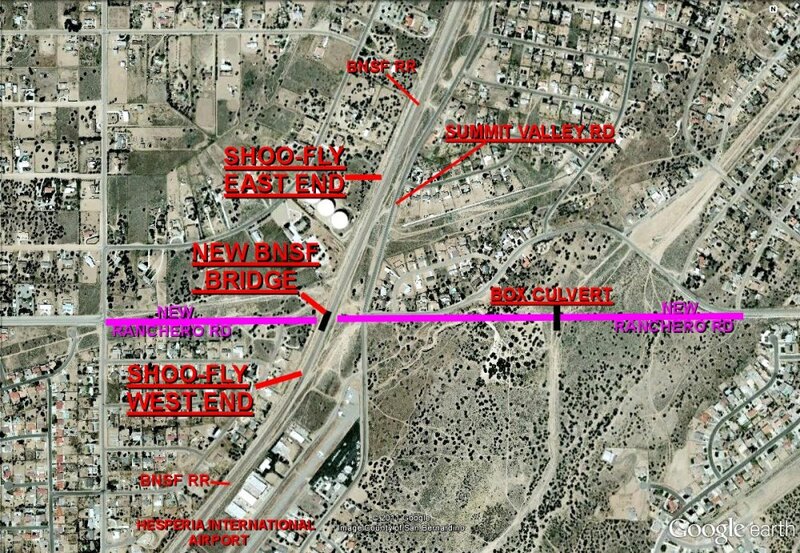 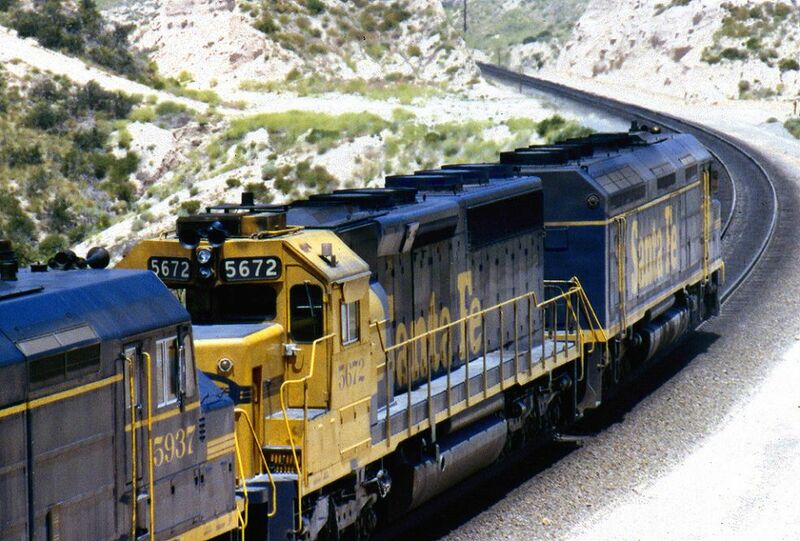 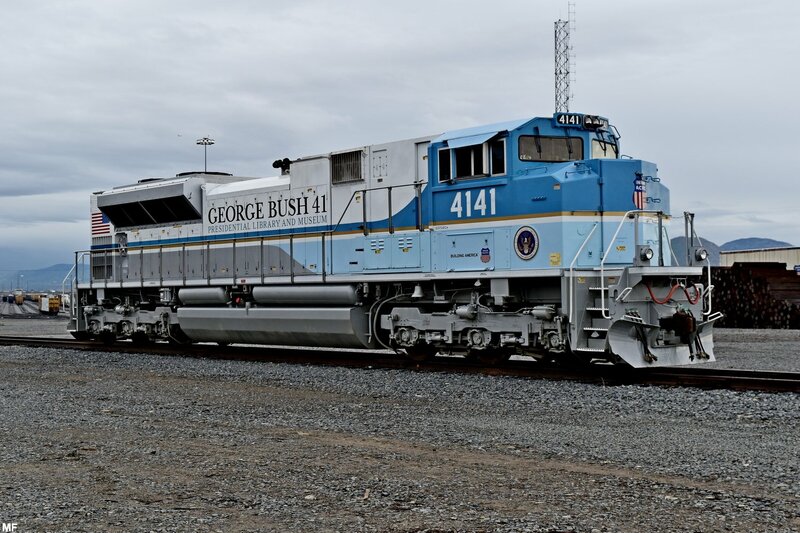 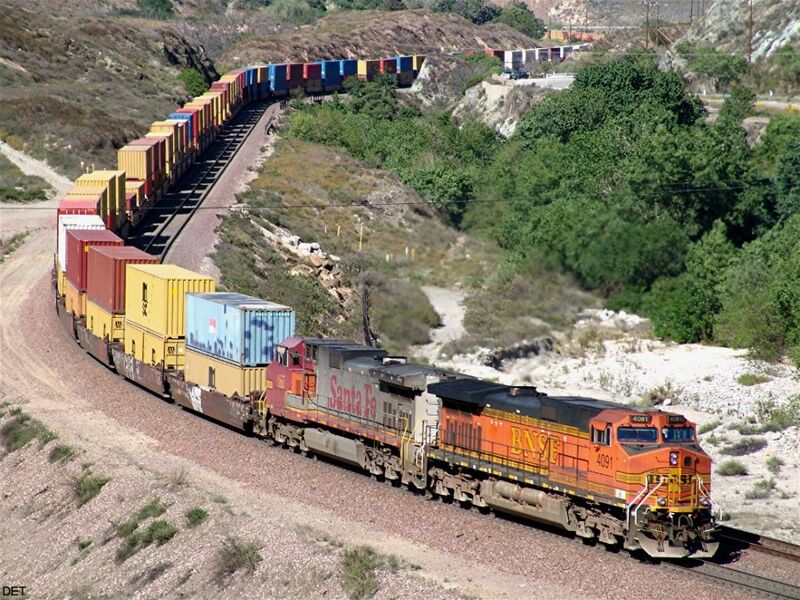 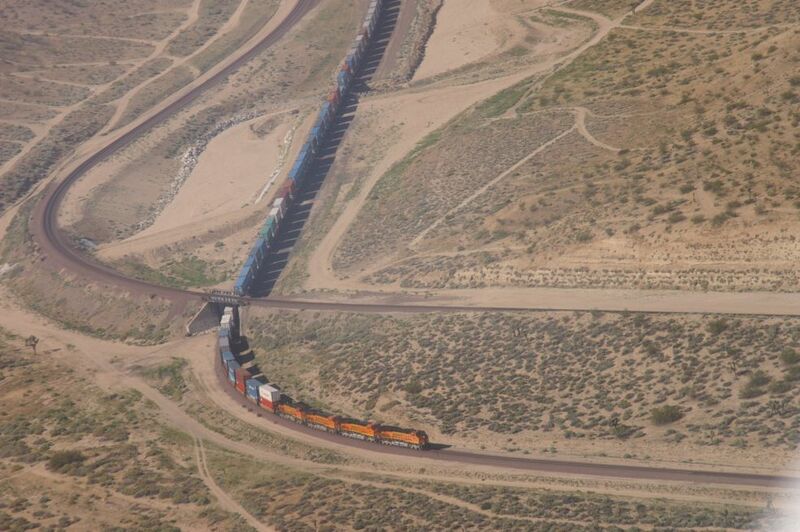 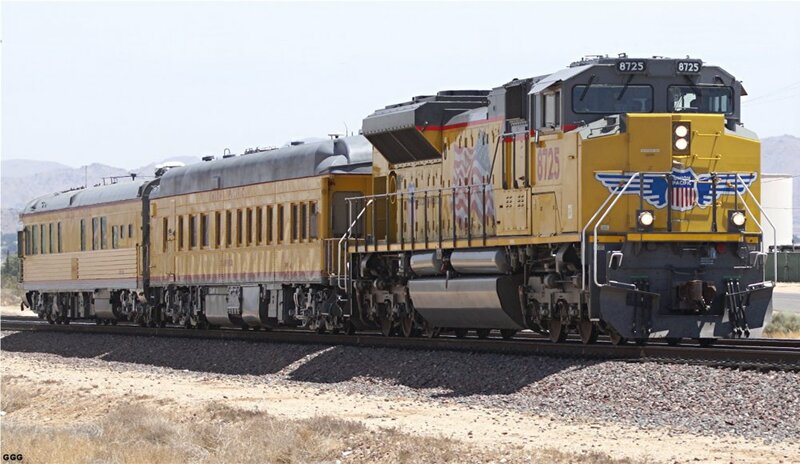 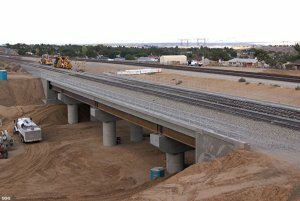 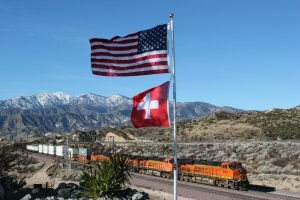 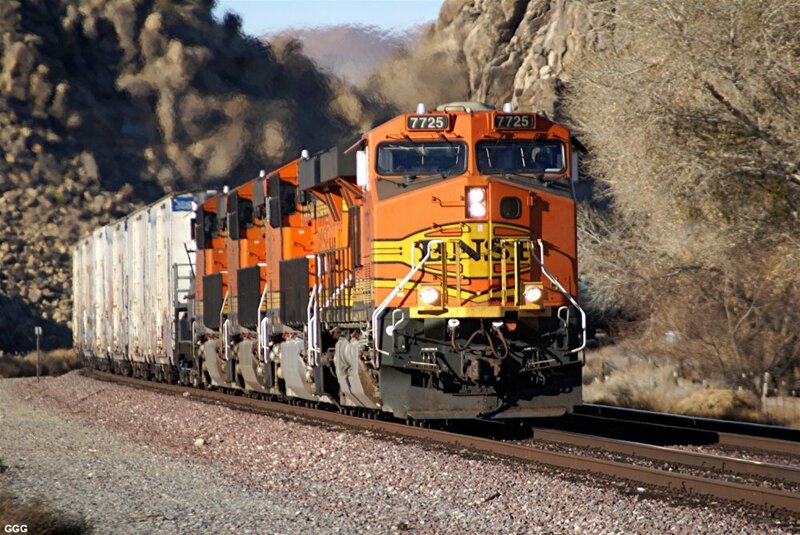 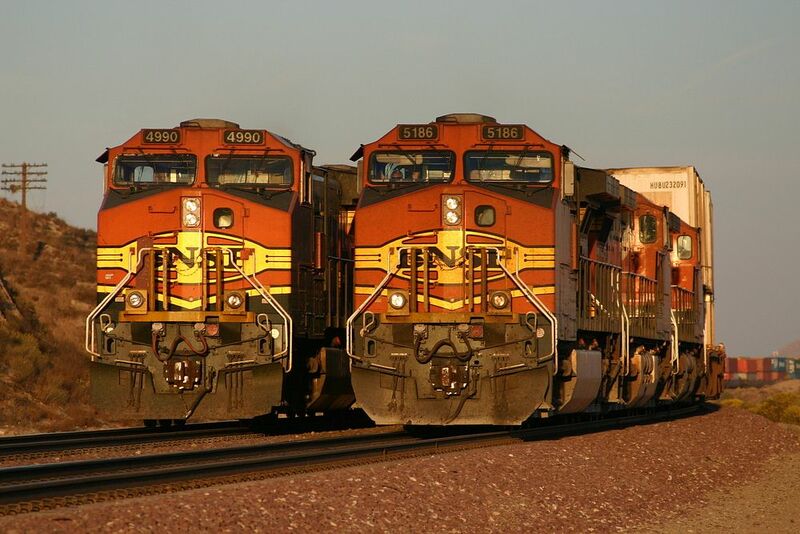 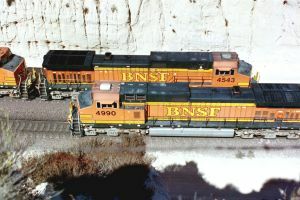 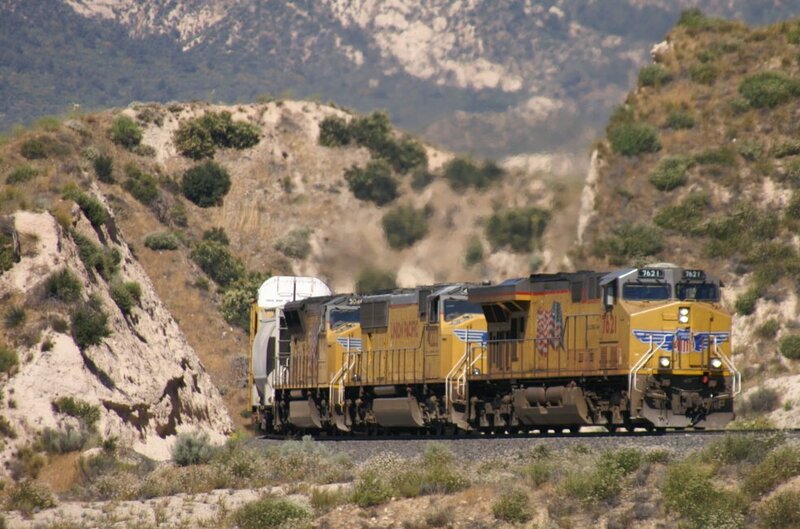 The most important subject was the 3rd Main Track Project by BNSF in 2007 & 2008. 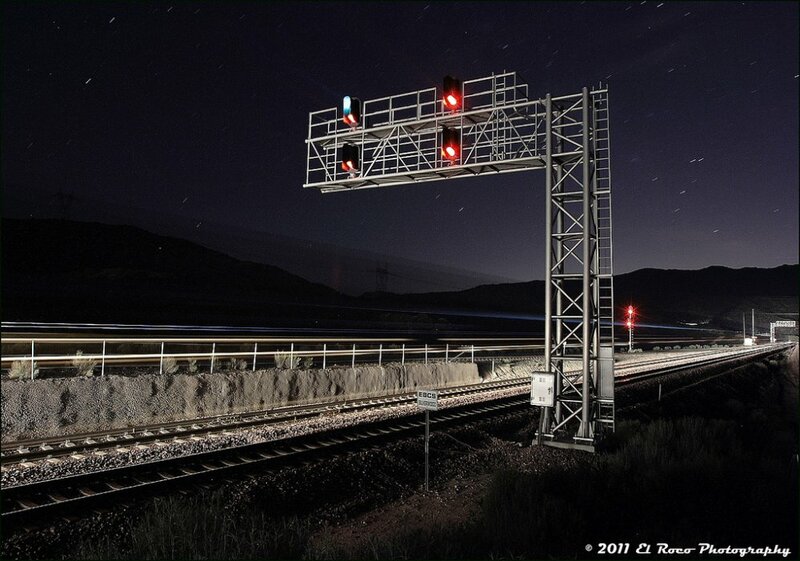 A big thank you goes to Don, Gary and Marc for sharing their excellent pictures. 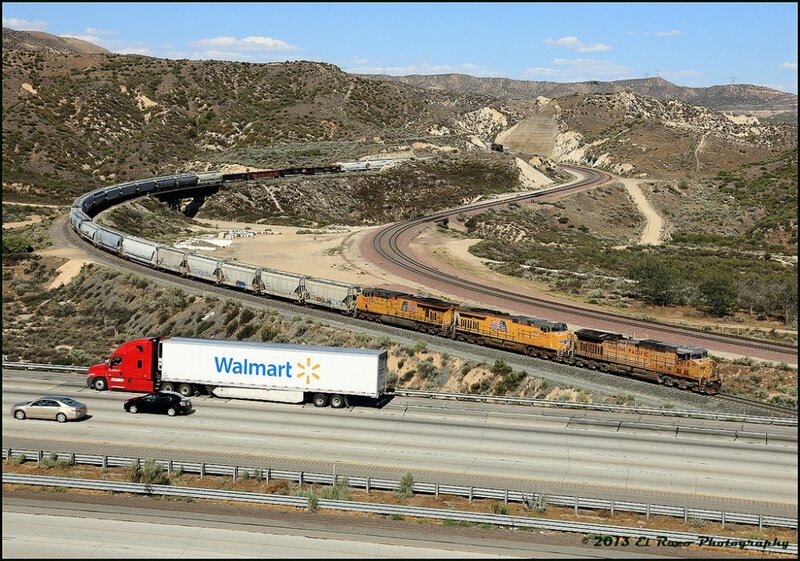 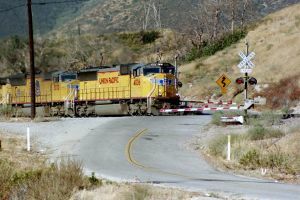 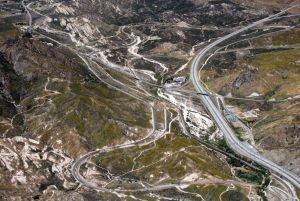 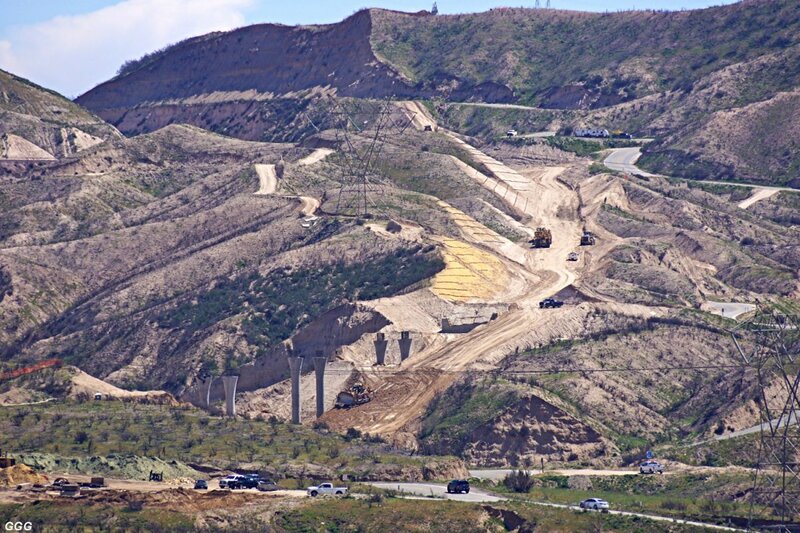 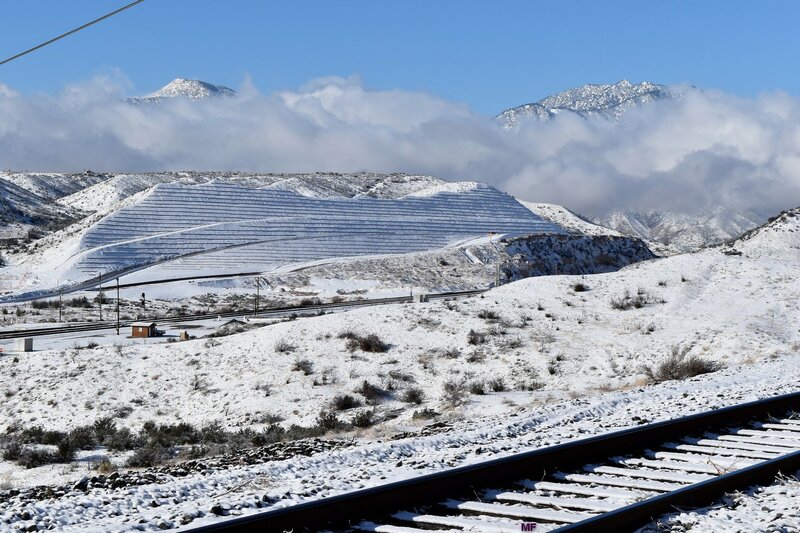 Our photographers are always on the road to bring the latest photos of Cajon Pass to our readers of this site. 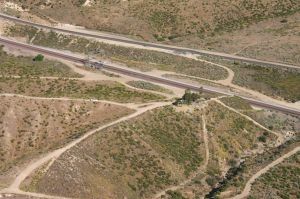 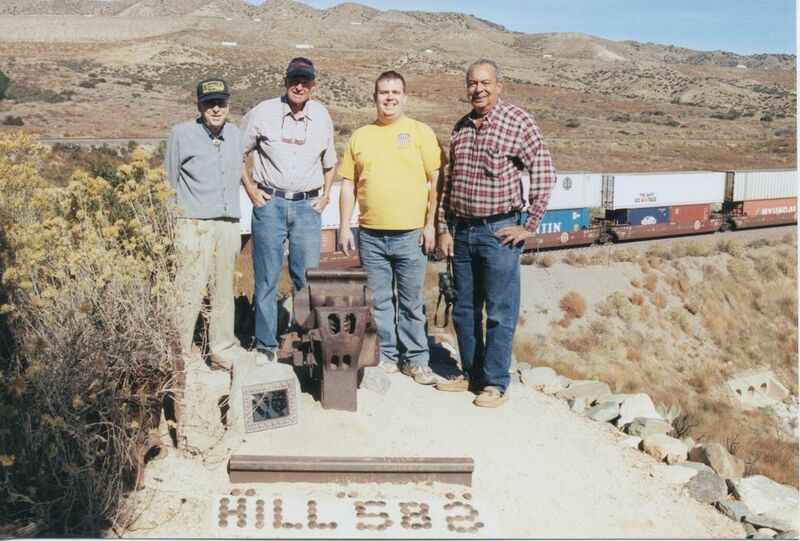 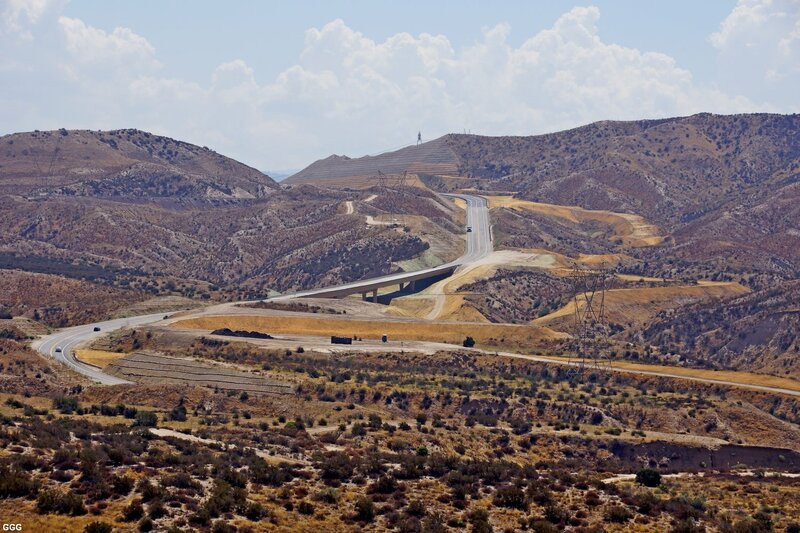 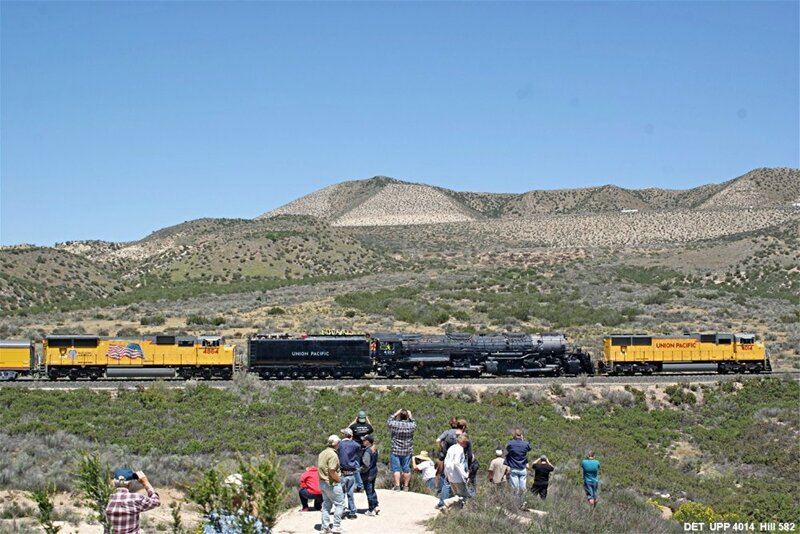 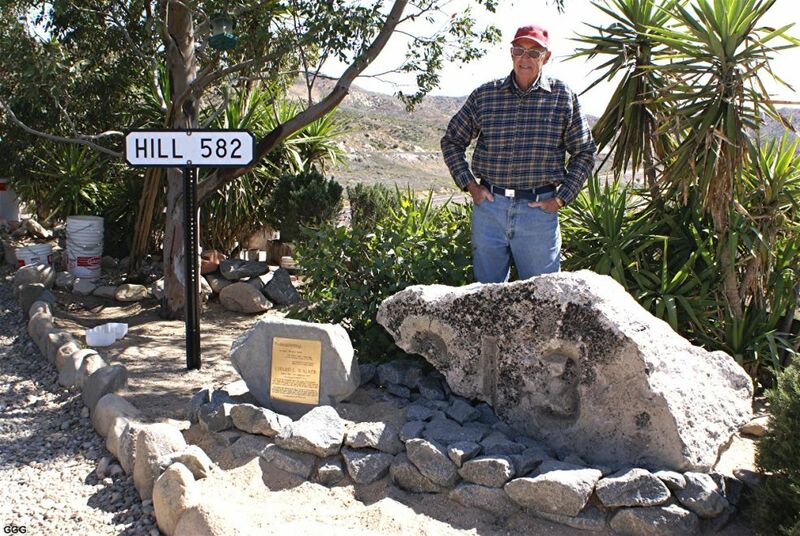 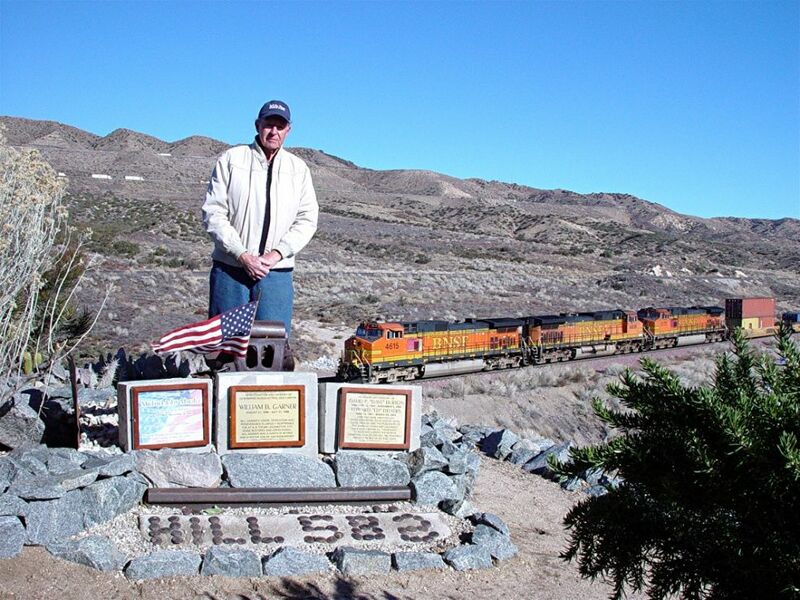 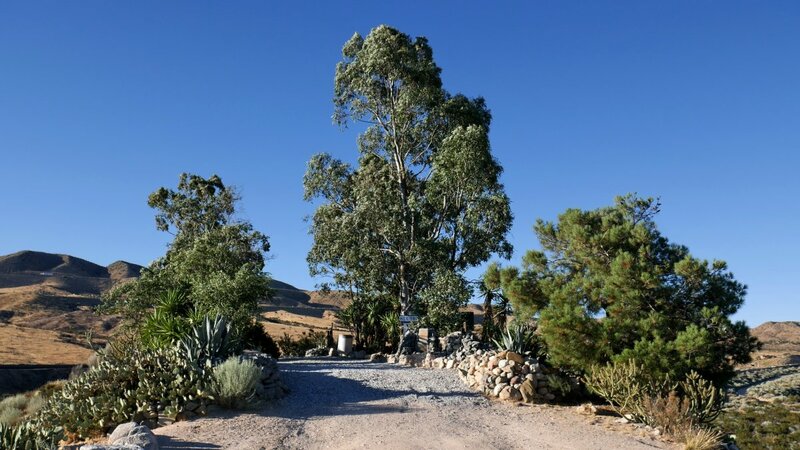 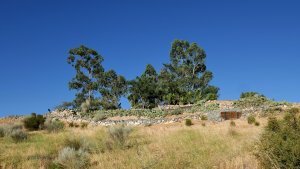 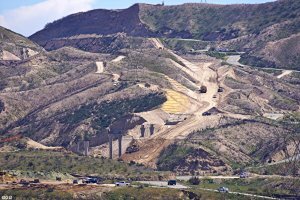 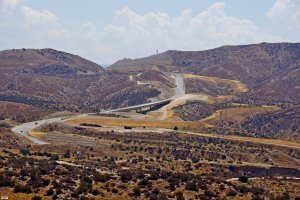 August 24, 2018: There is a new facebook group about "Hill 582"
You are watching a live stream of the Cajon Pass in Hesperia, CA. 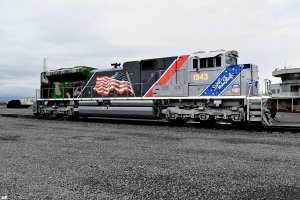 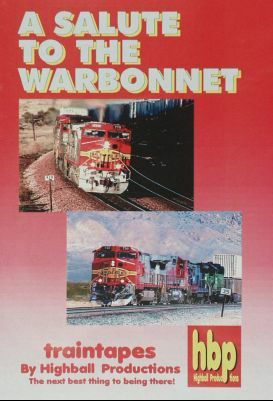 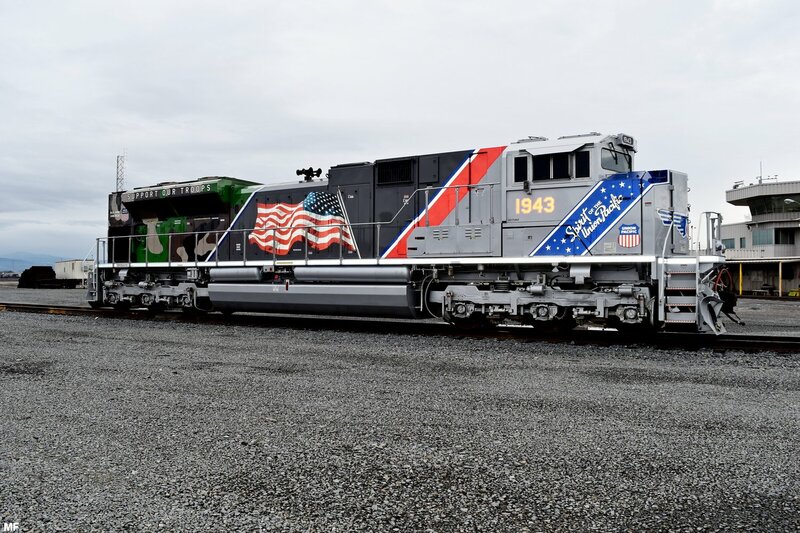 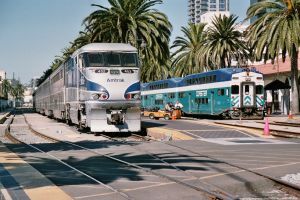 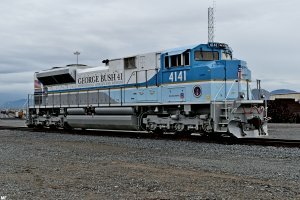 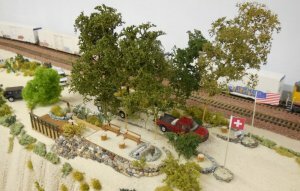 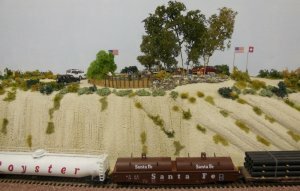 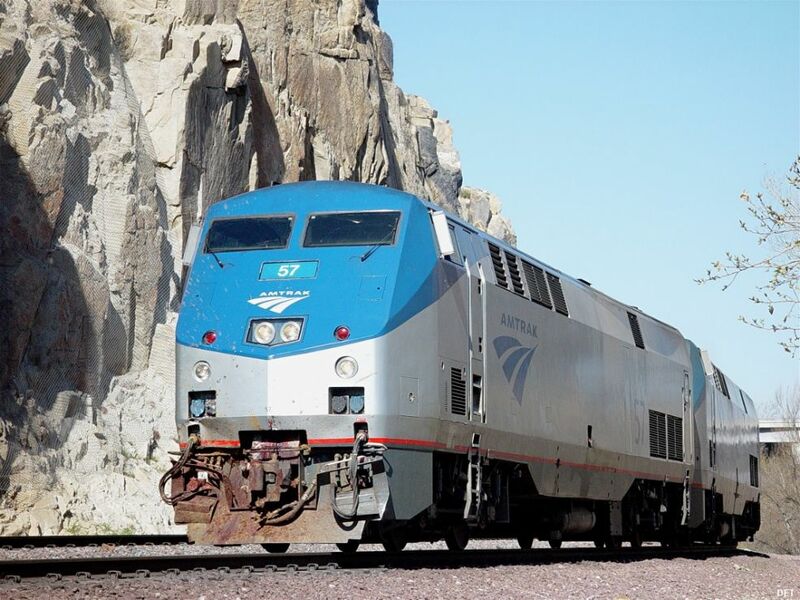 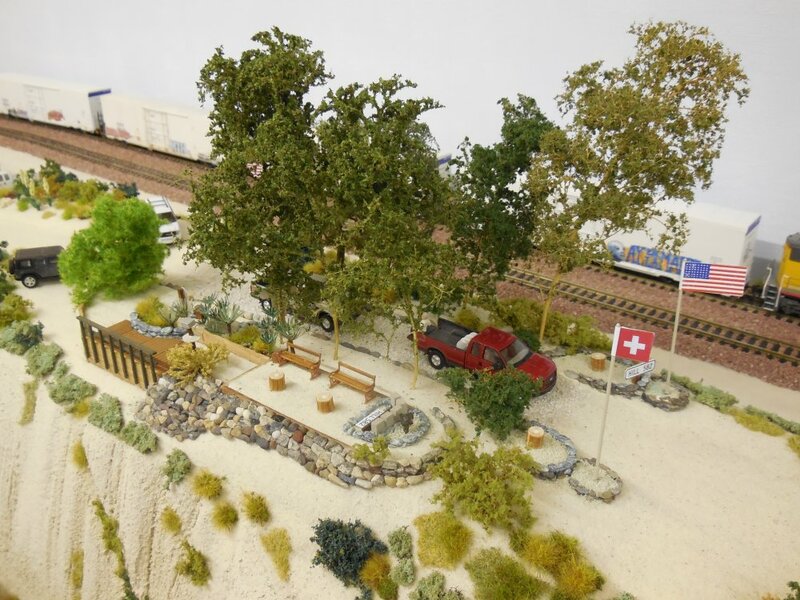 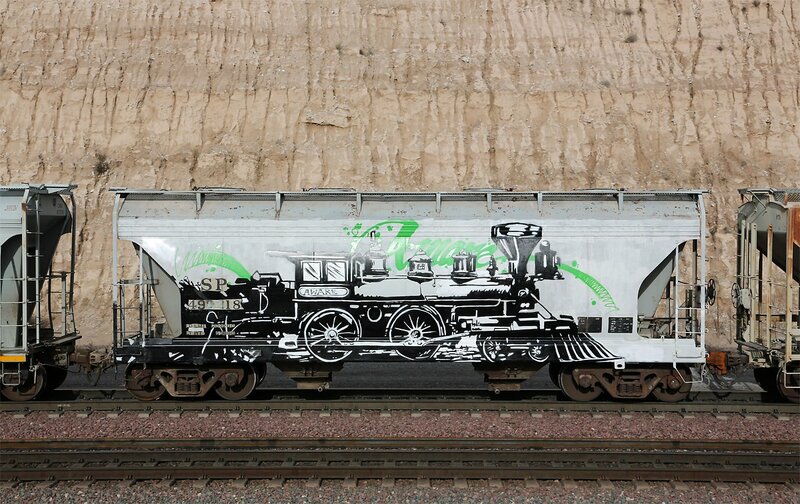 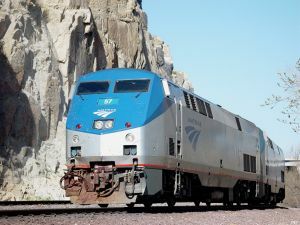 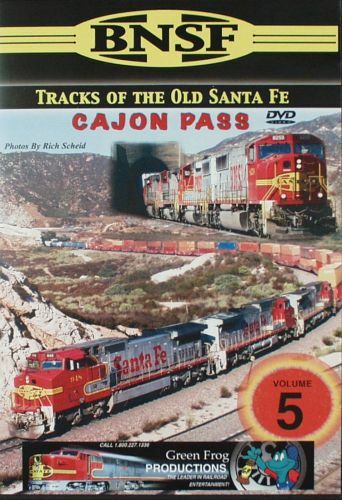 for people who enjoy watching trains. 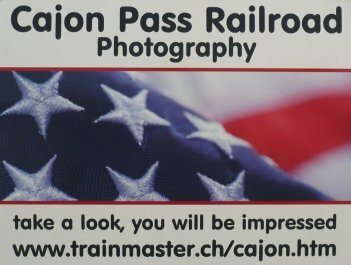 For bigger size pictures please click on the 3 or 4 digit numbers below each photo! 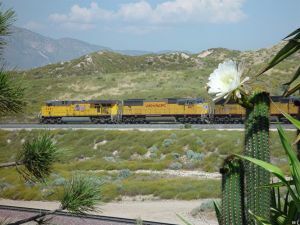 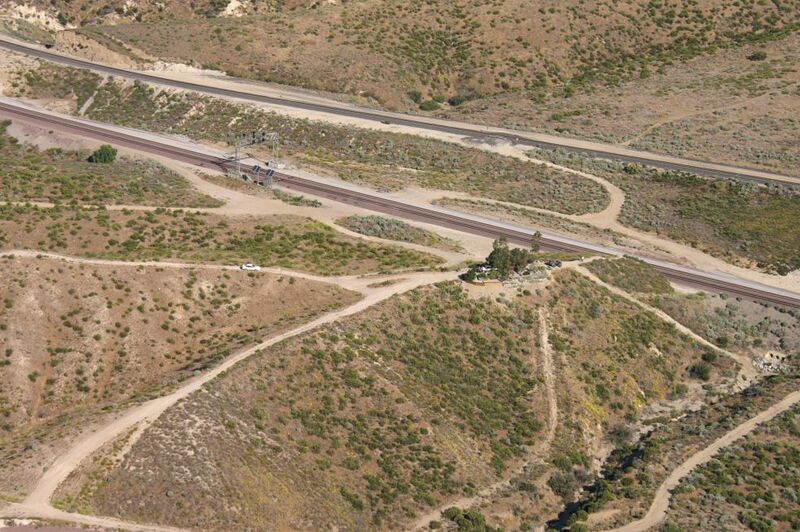 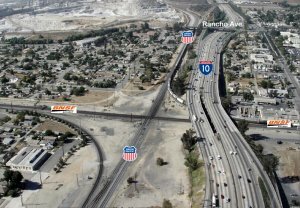 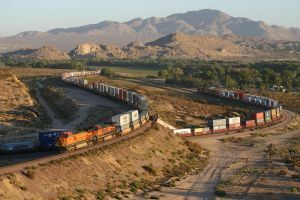 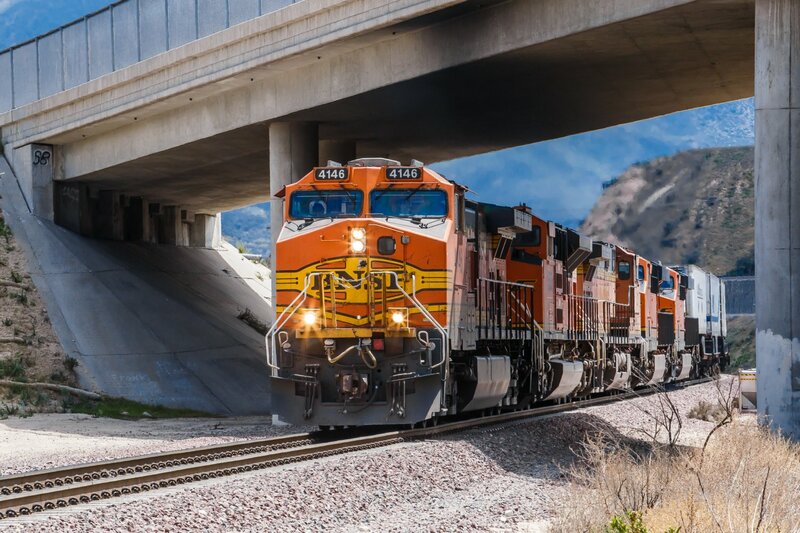 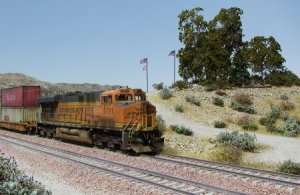 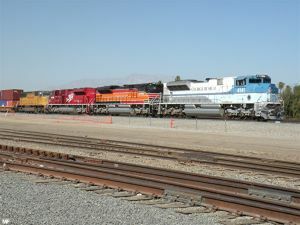 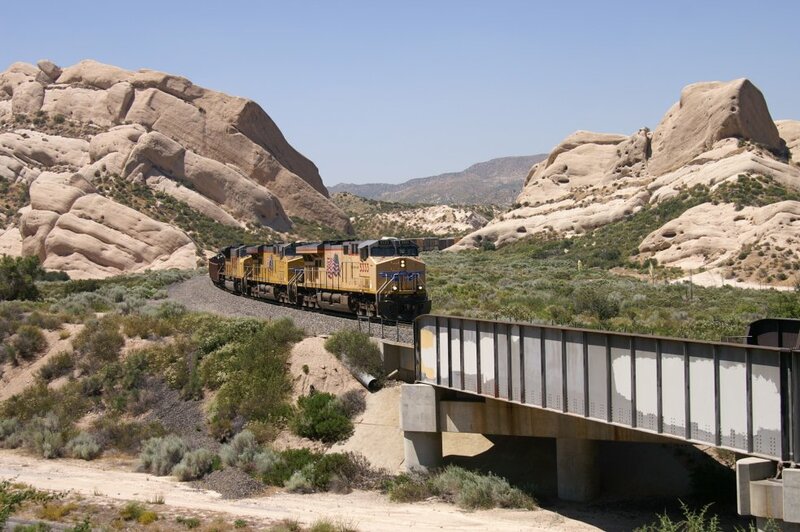 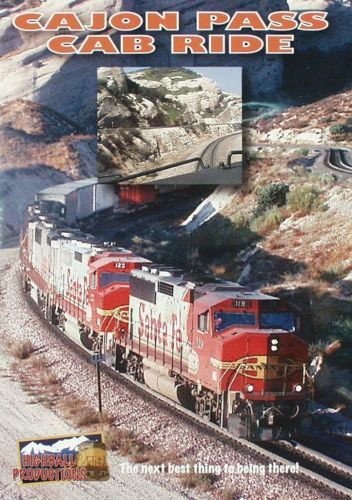 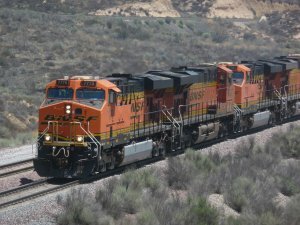 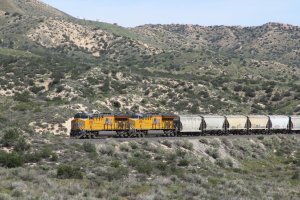 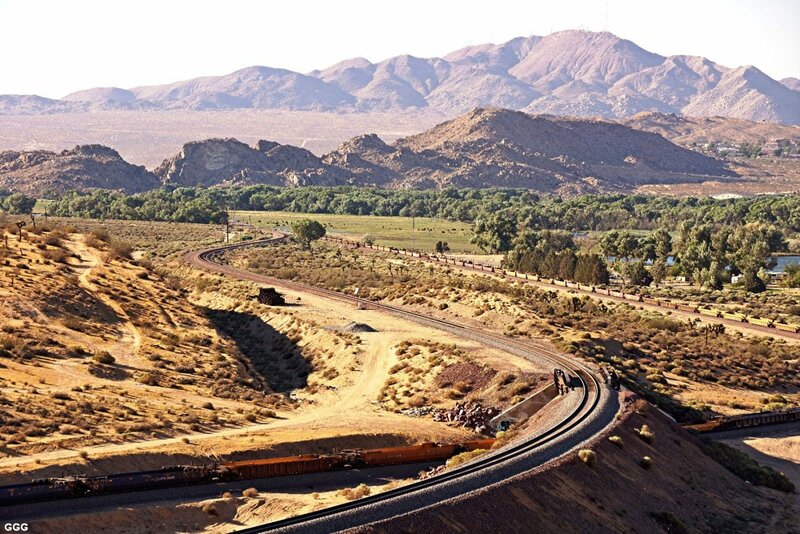 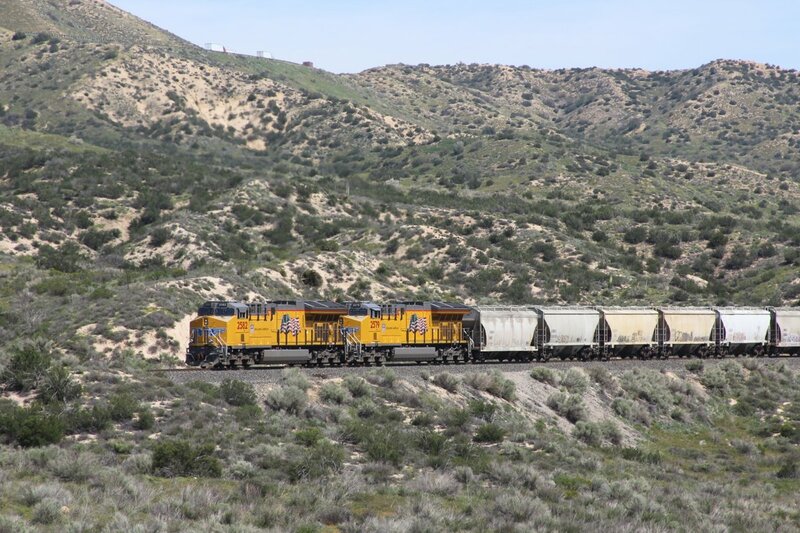 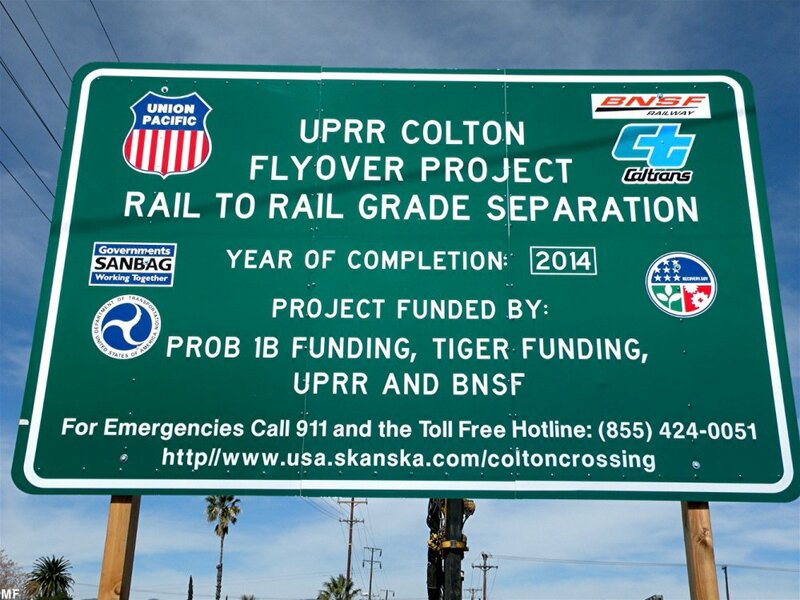 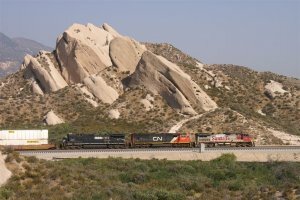 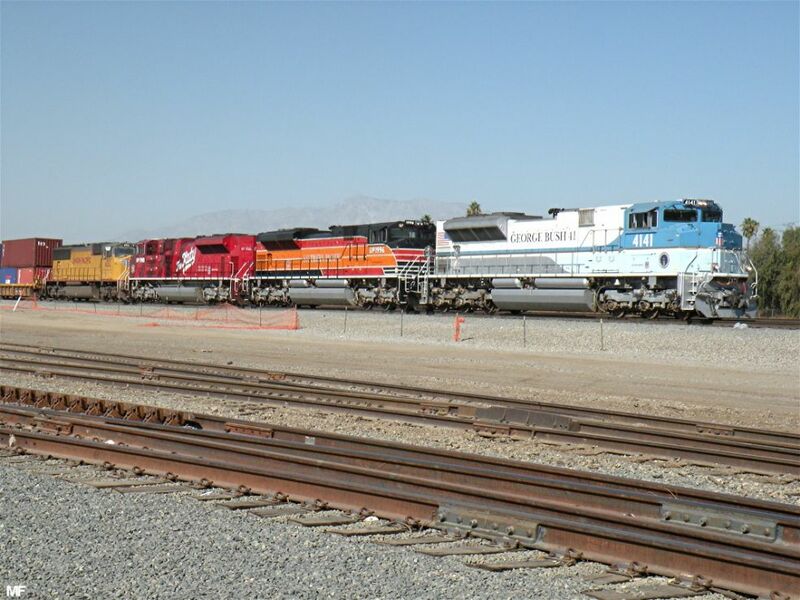 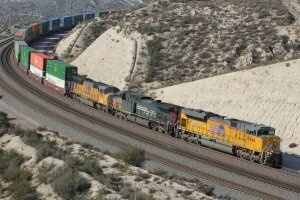 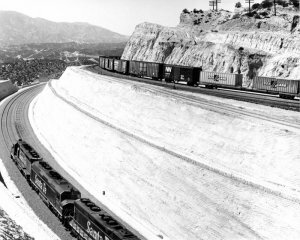 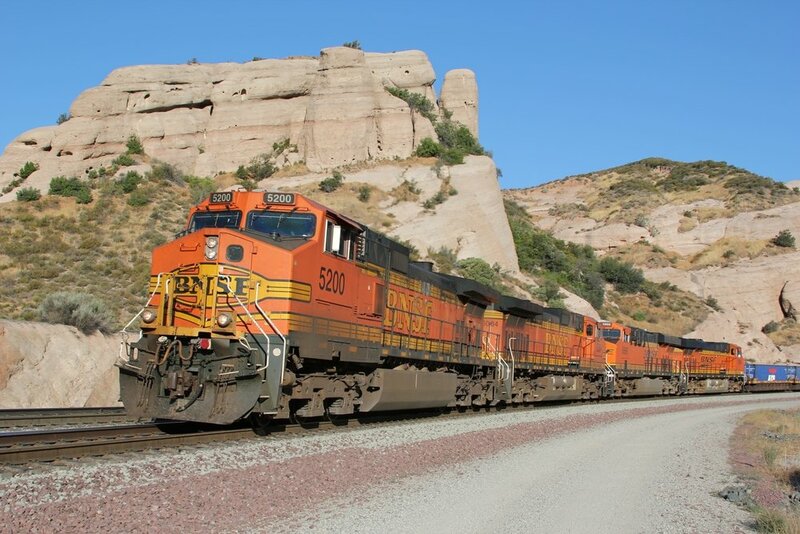 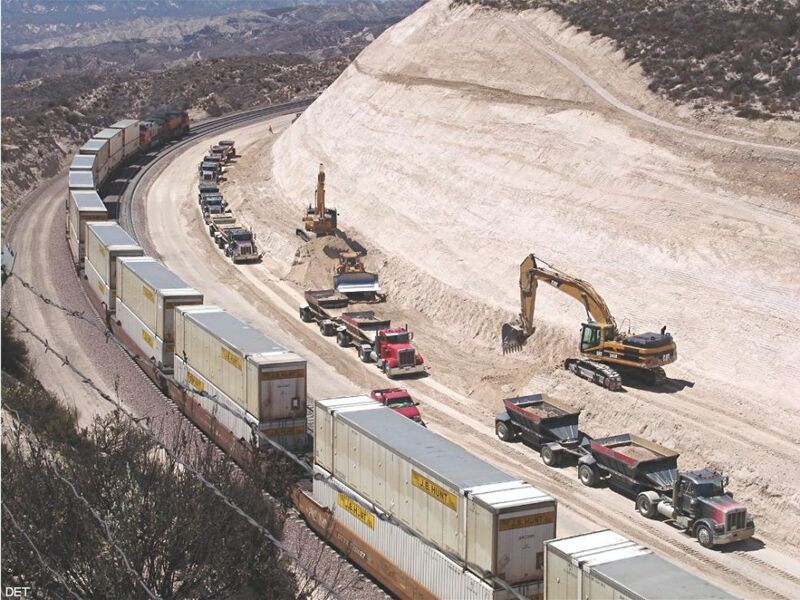 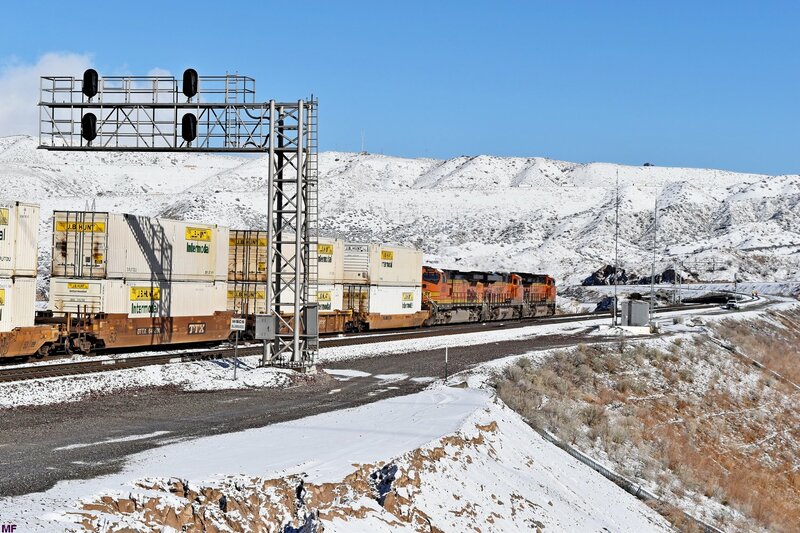 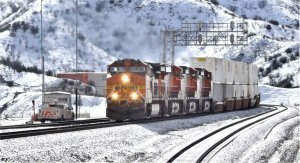 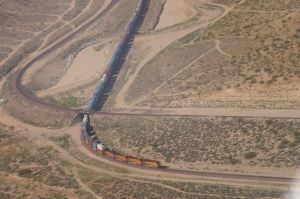 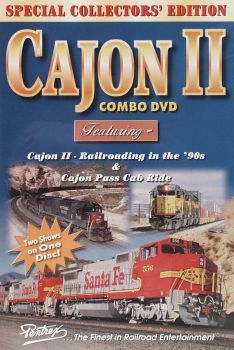 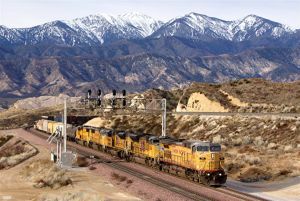 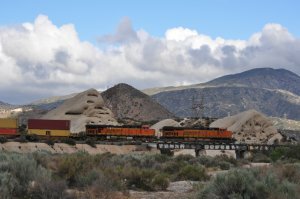 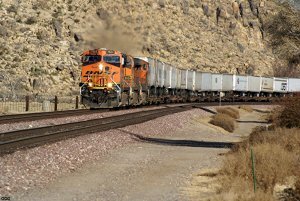 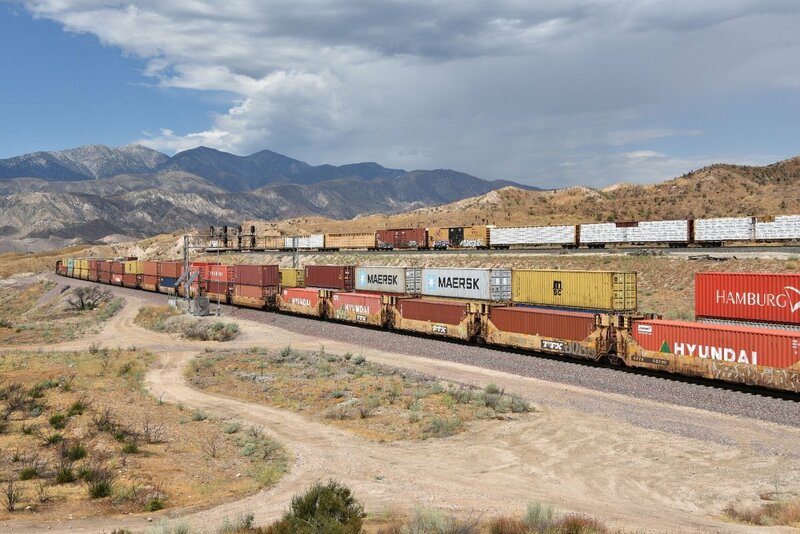 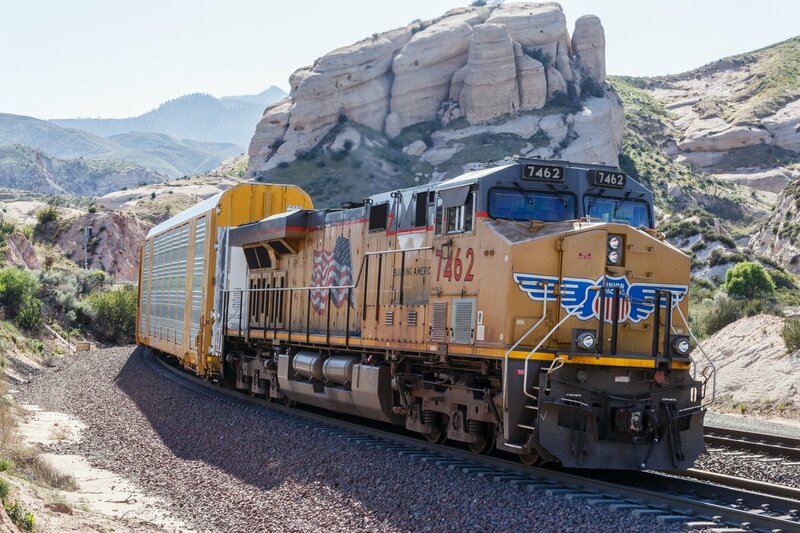 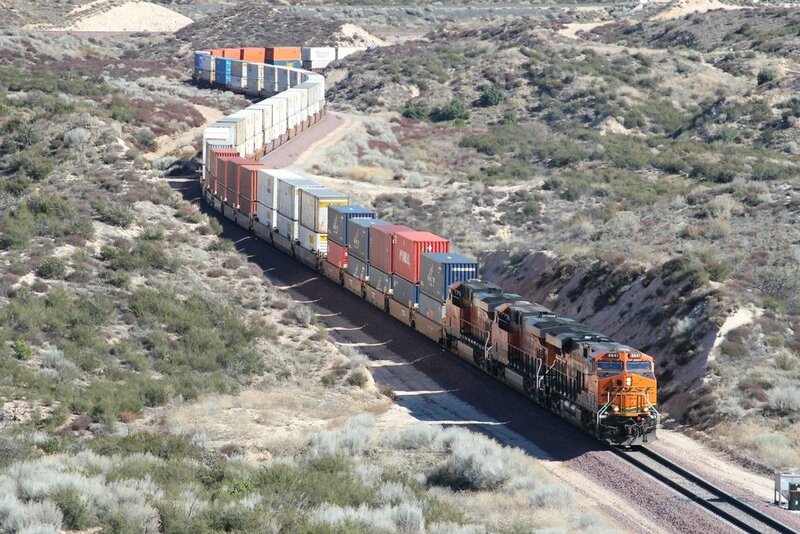 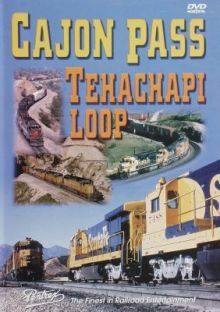 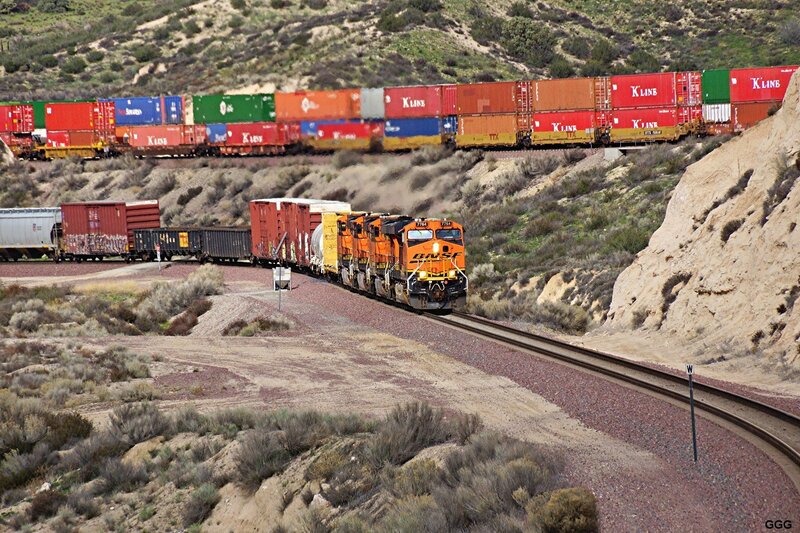 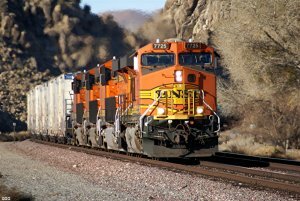 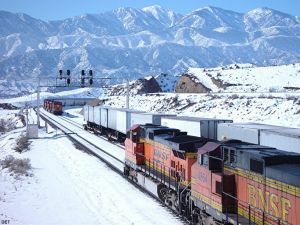 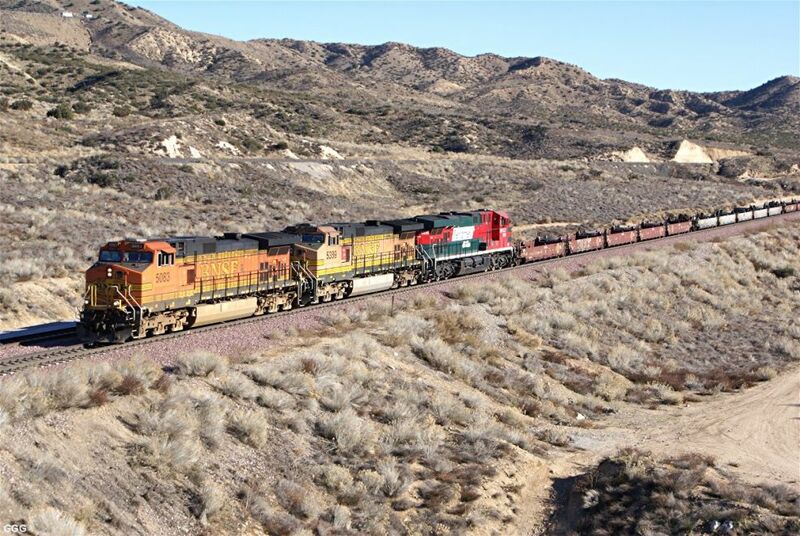 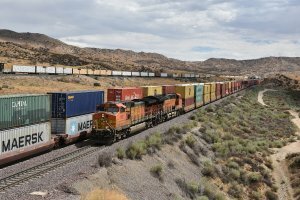 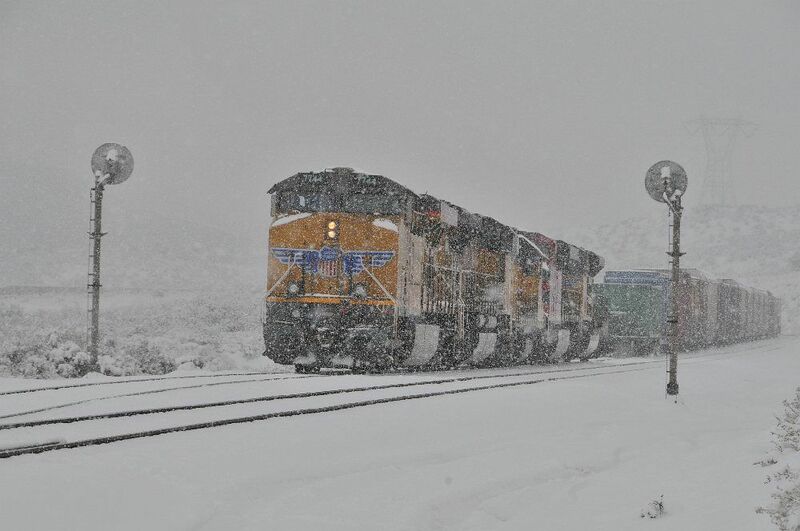 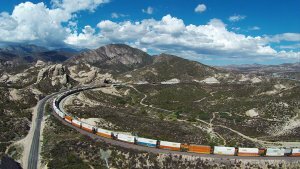 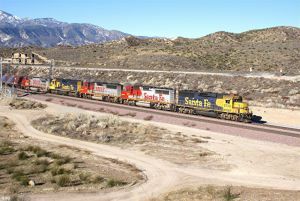 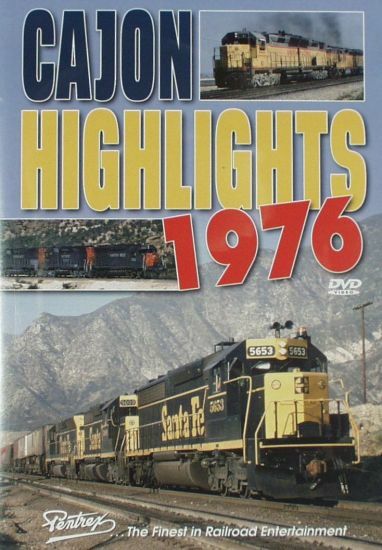 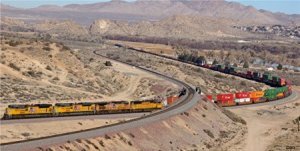 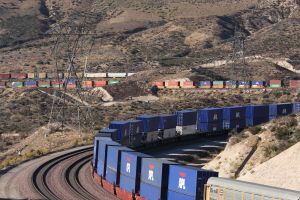 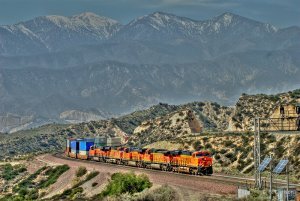 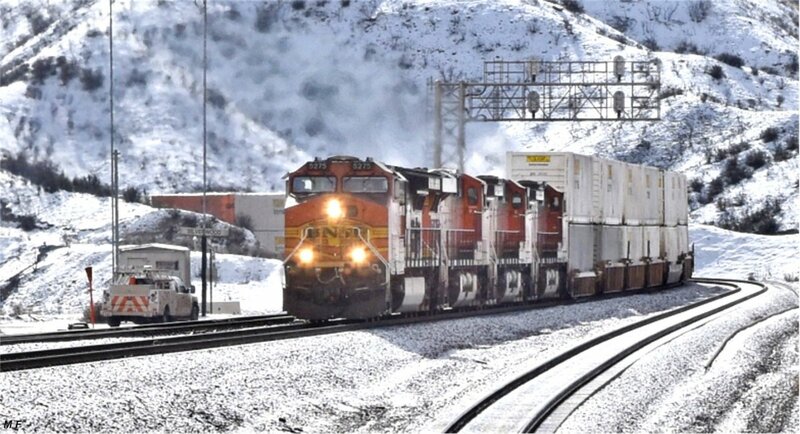 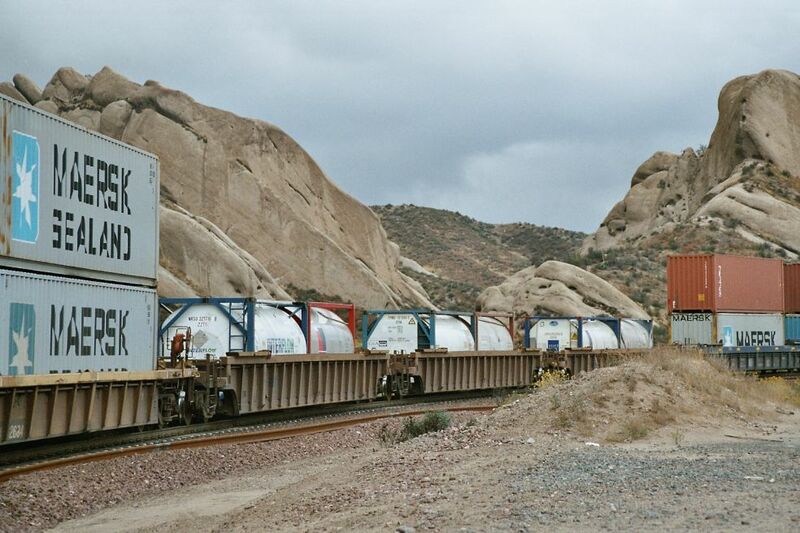 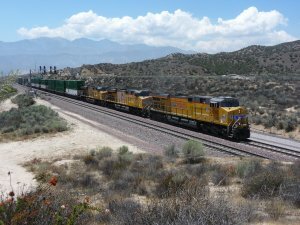 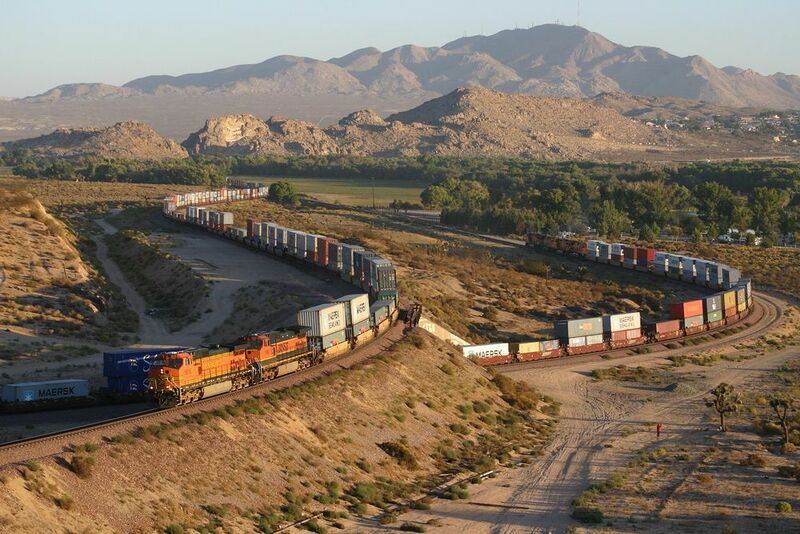 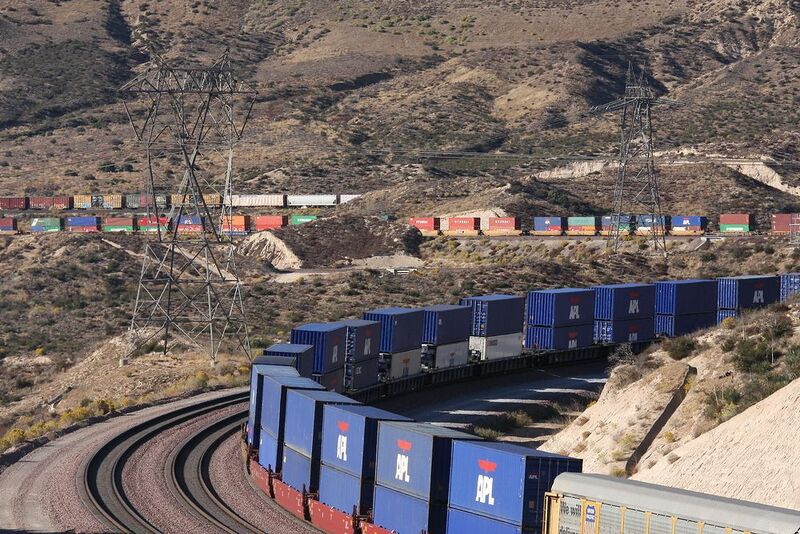 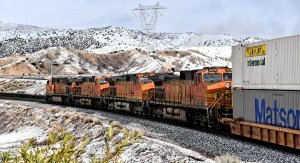 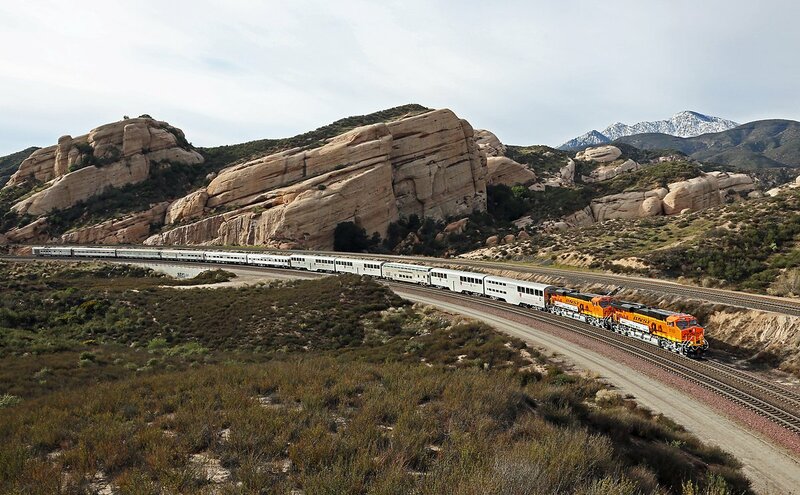 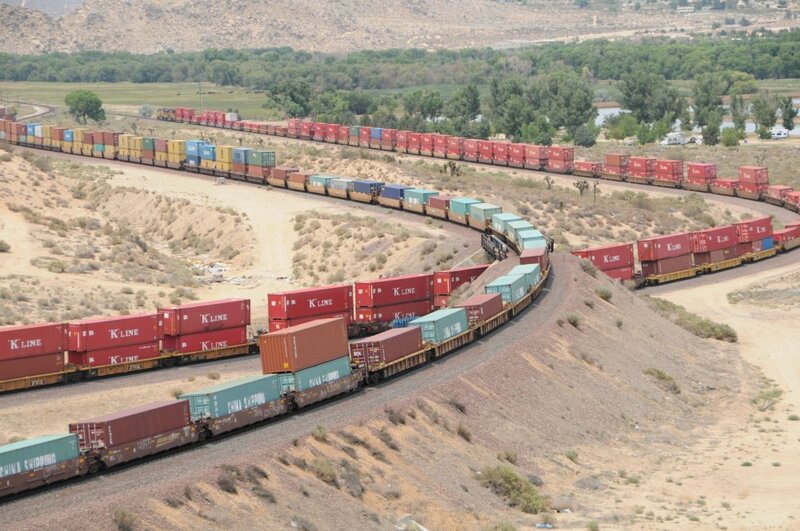 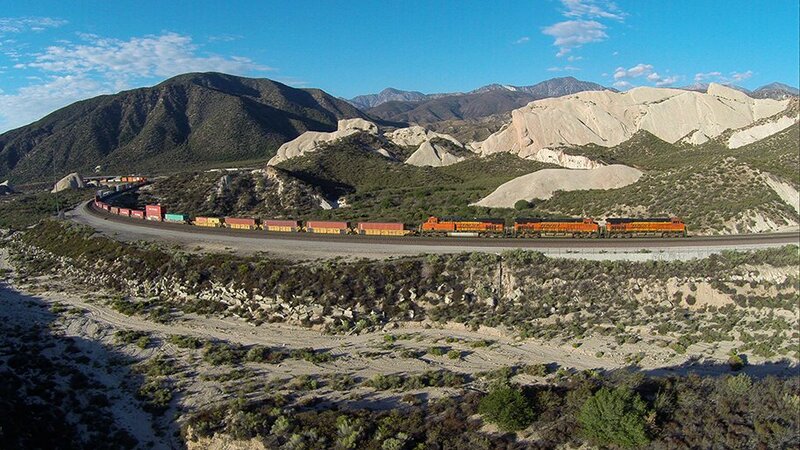 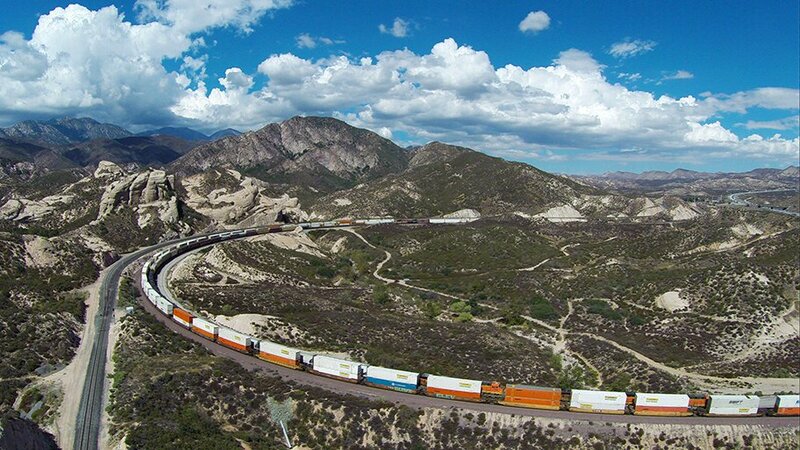 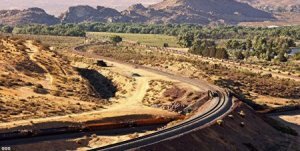 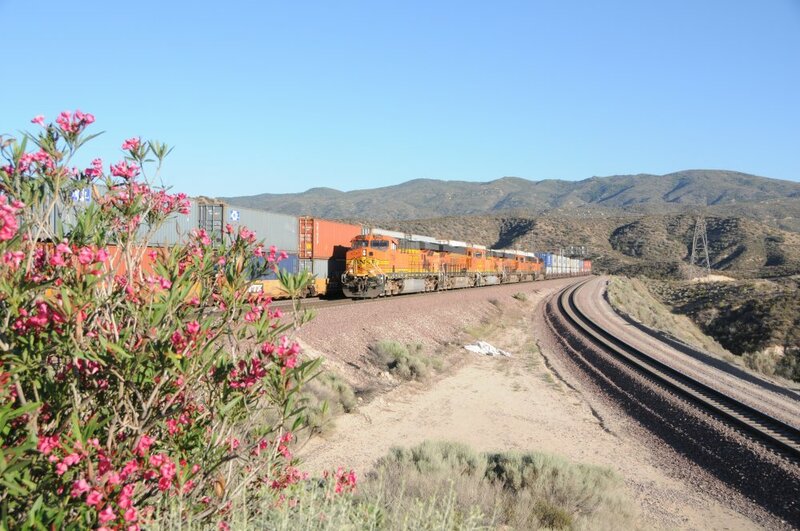 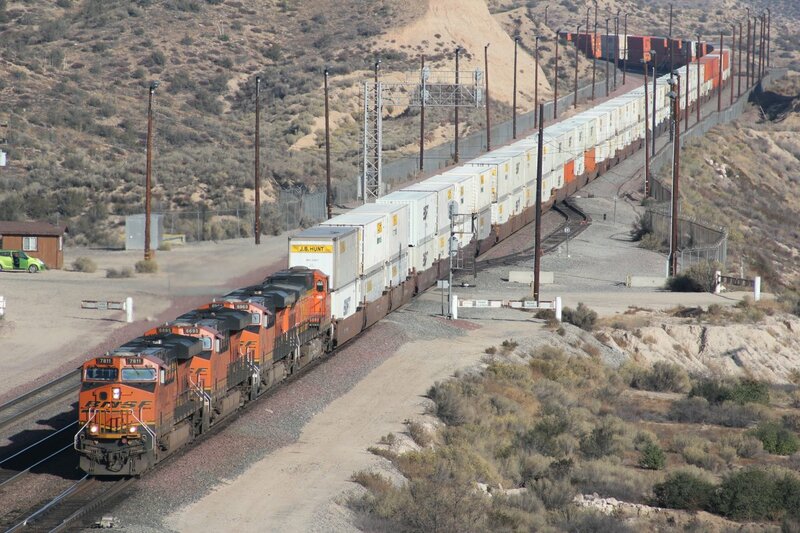 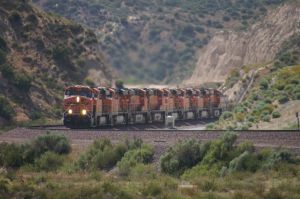 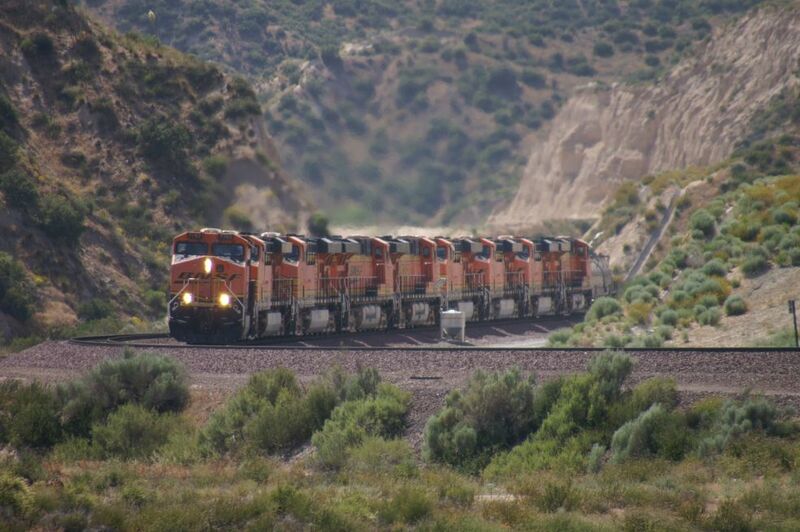 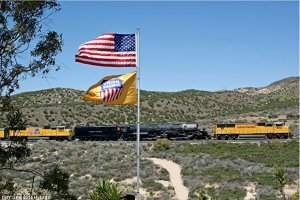 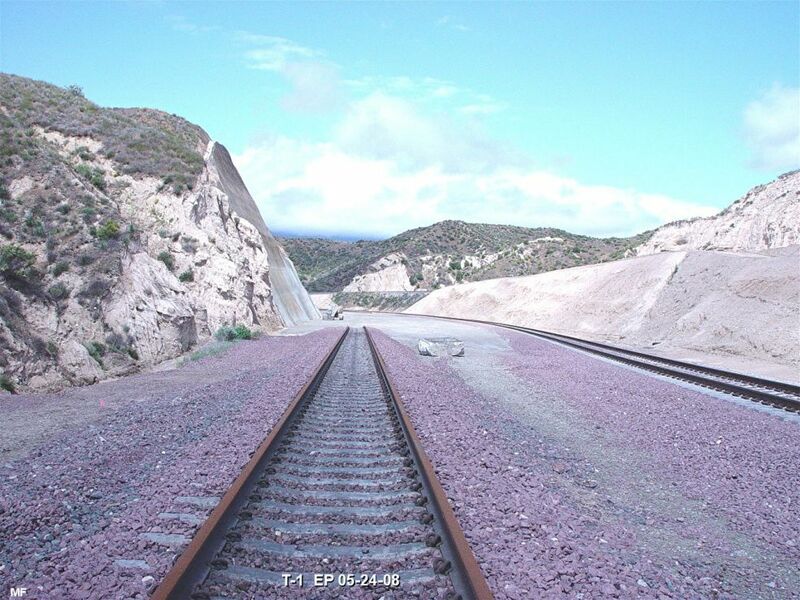 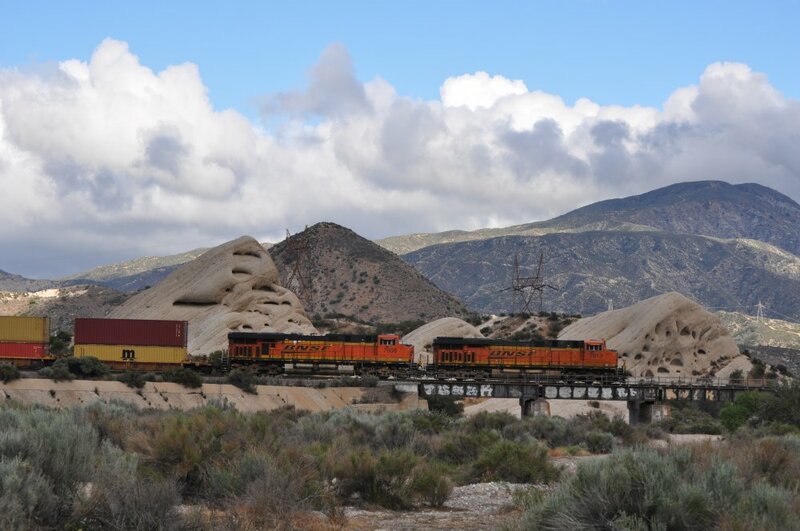 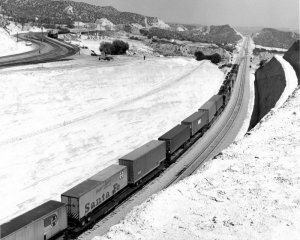 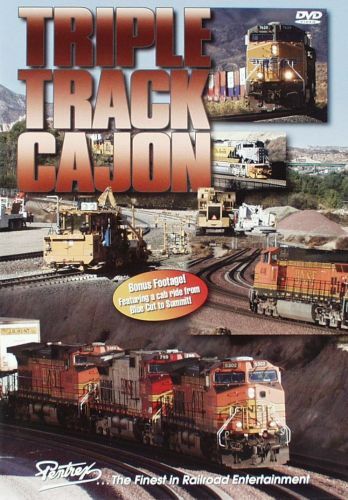 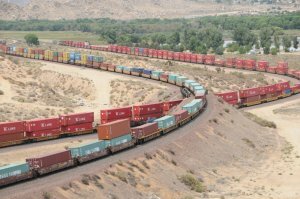 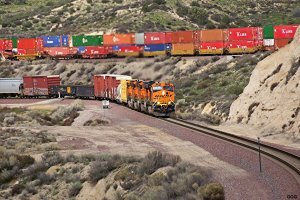 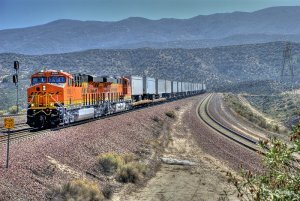 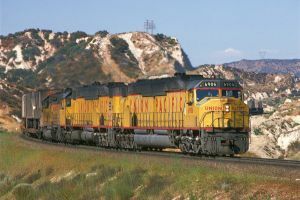 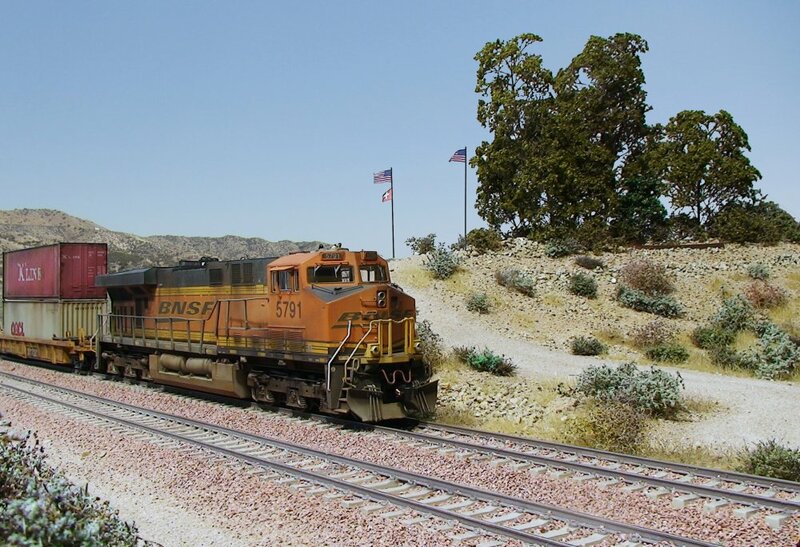 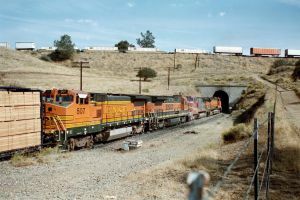 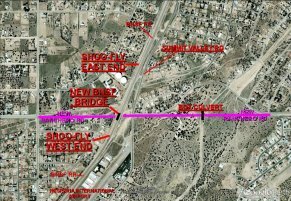 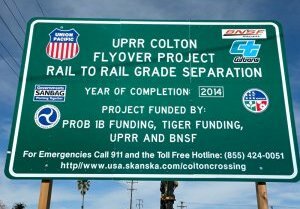 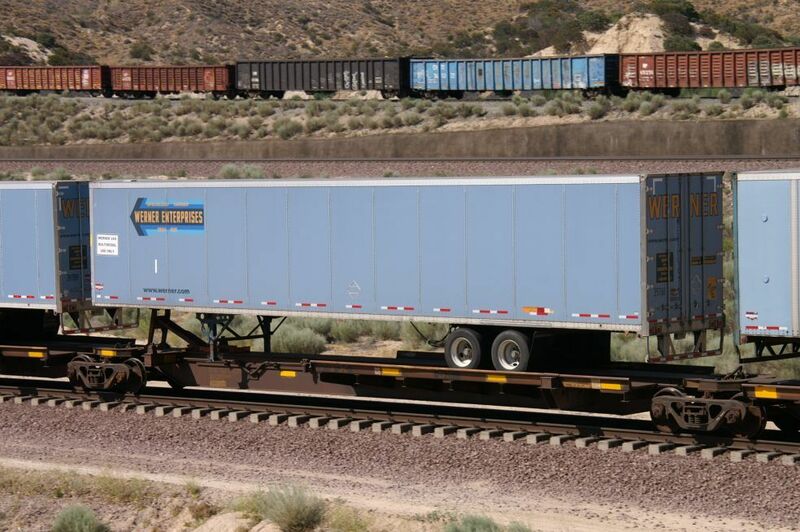 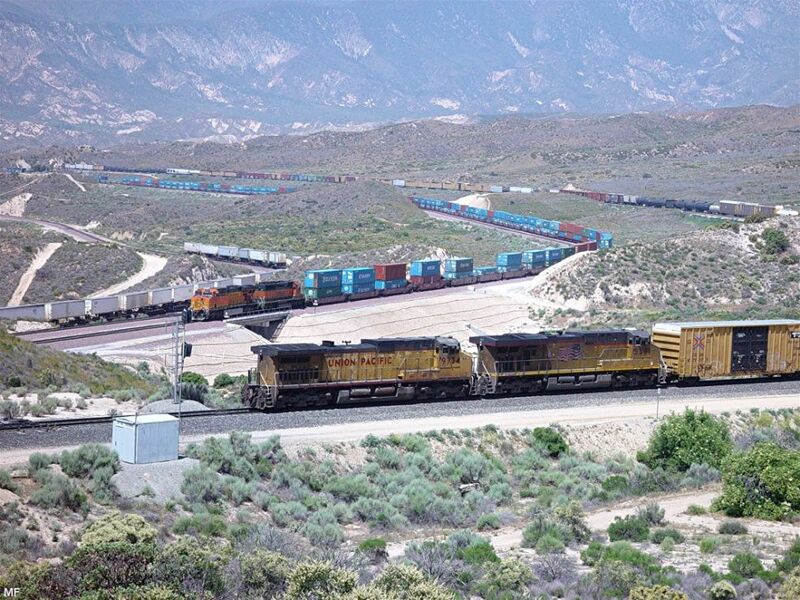 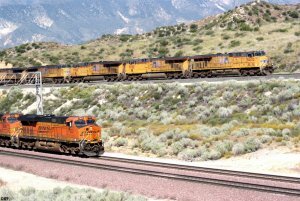 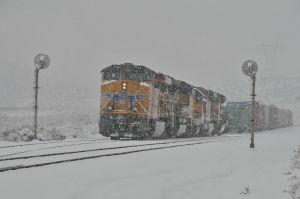 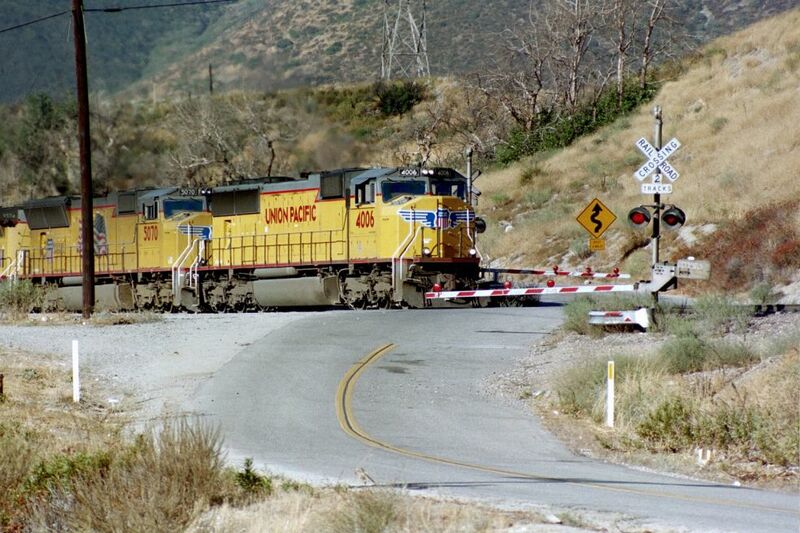 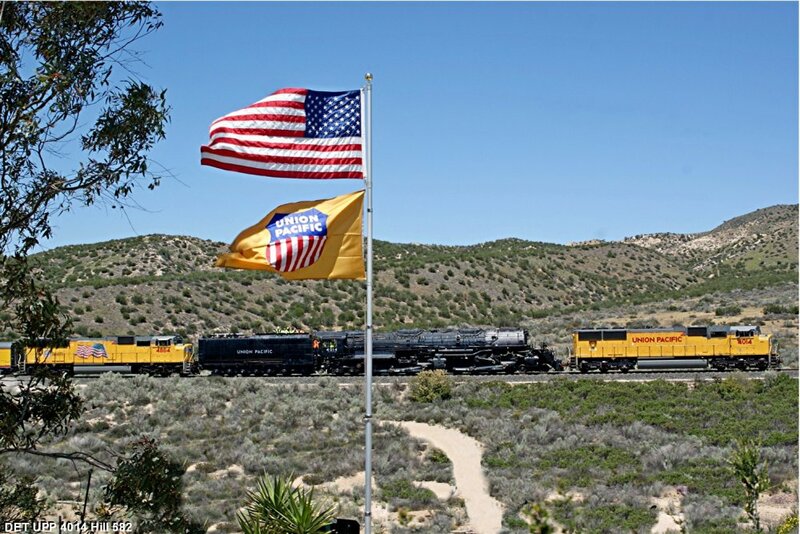 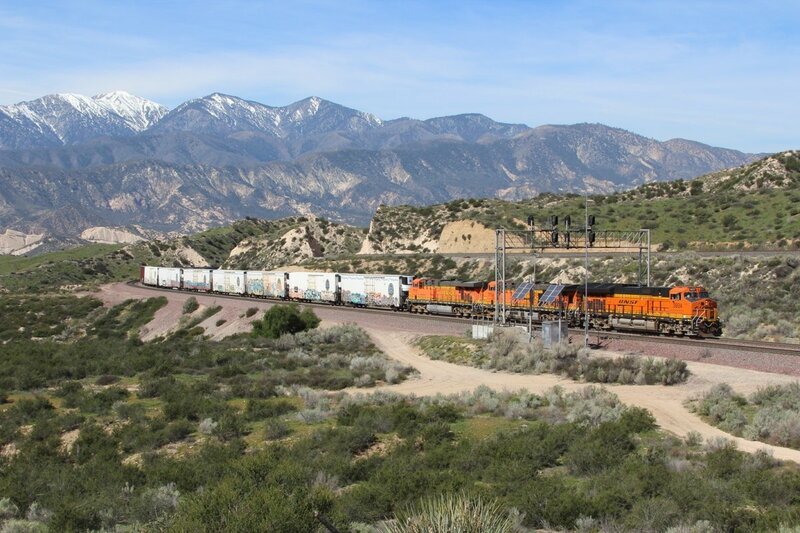 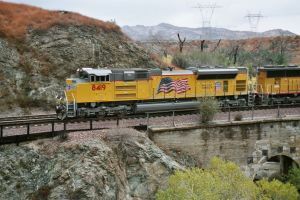 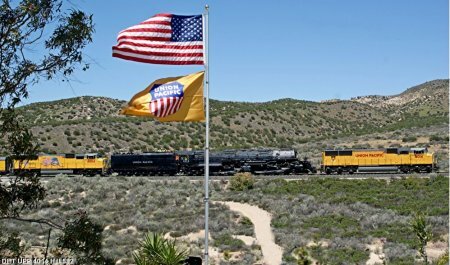 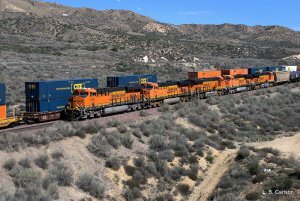 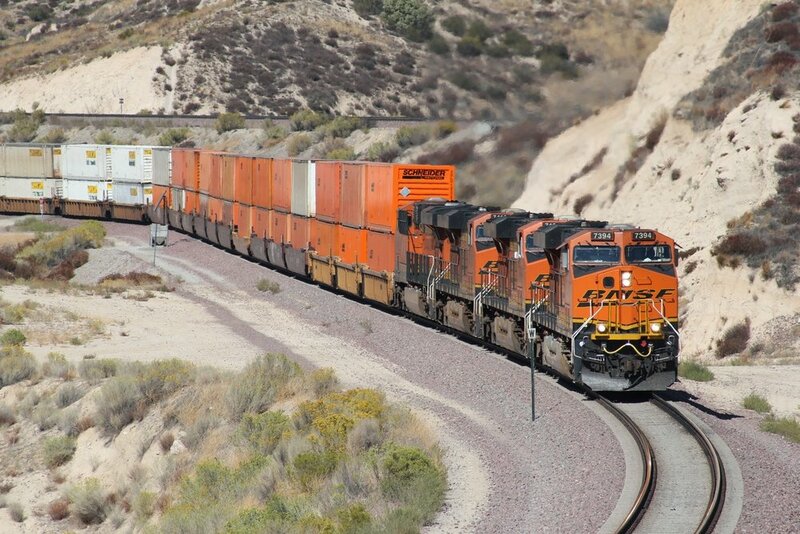 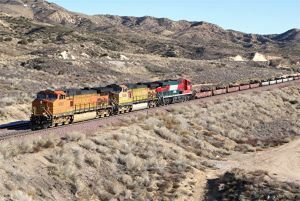 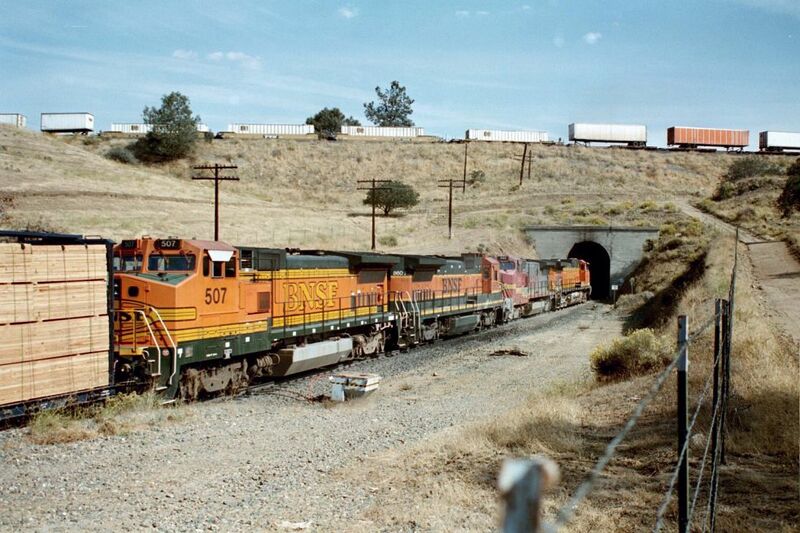 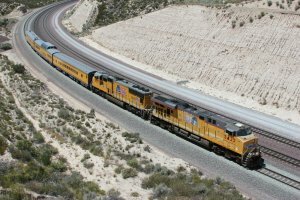 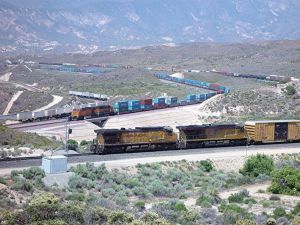 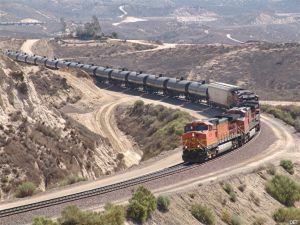 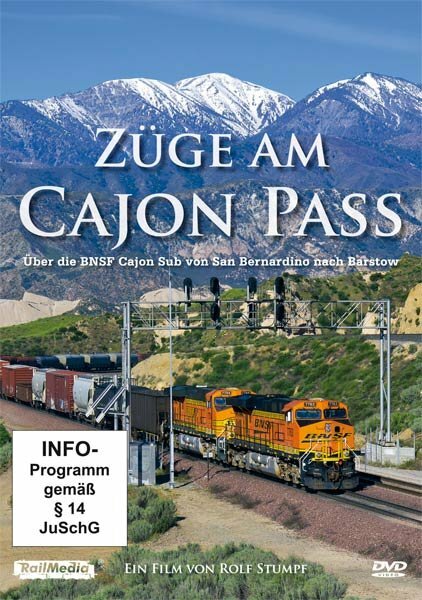 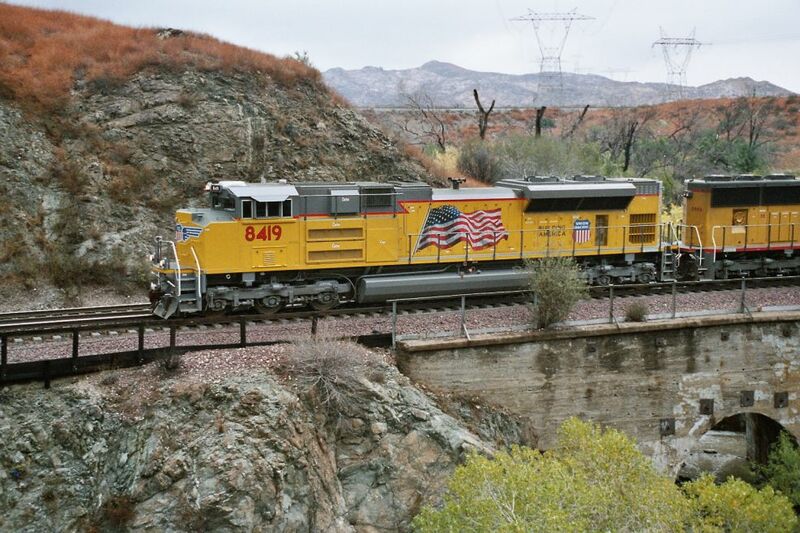 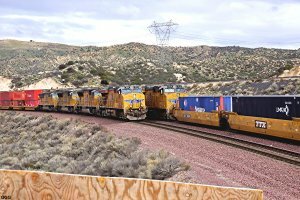 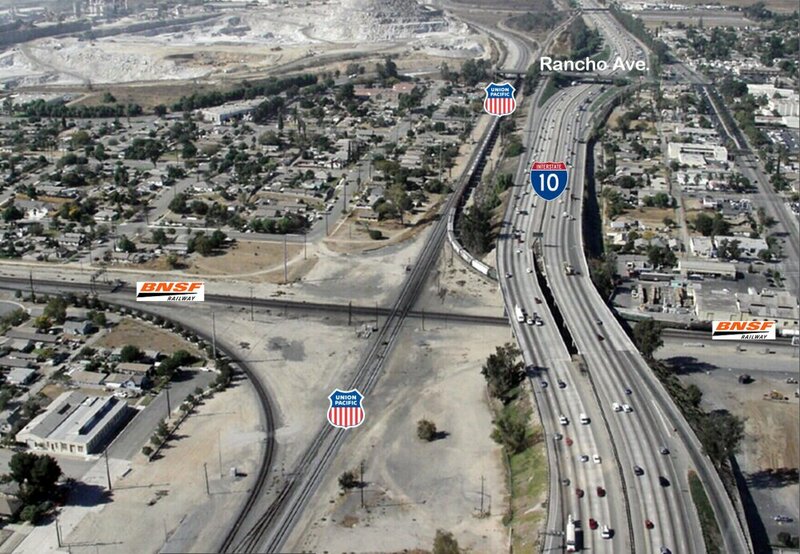 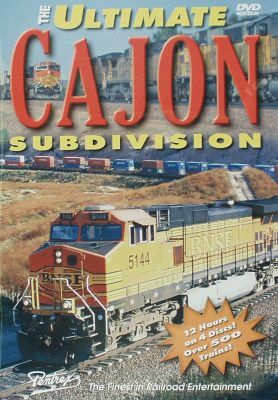 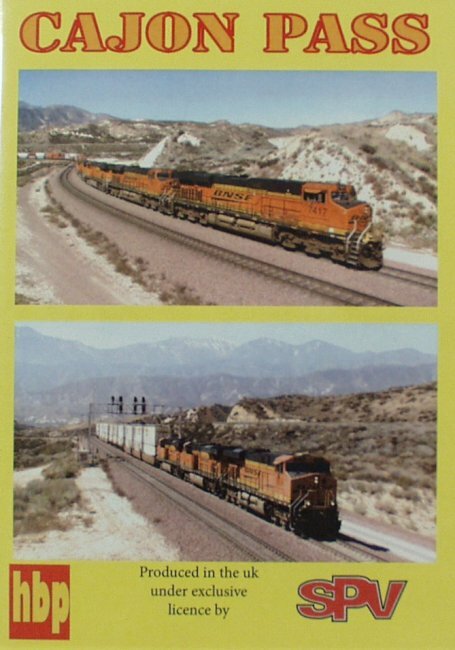 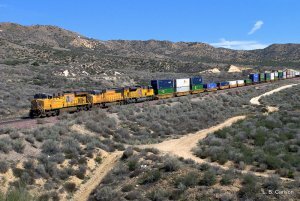 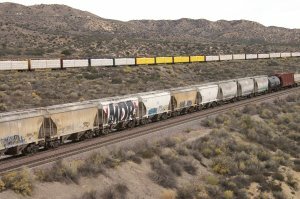 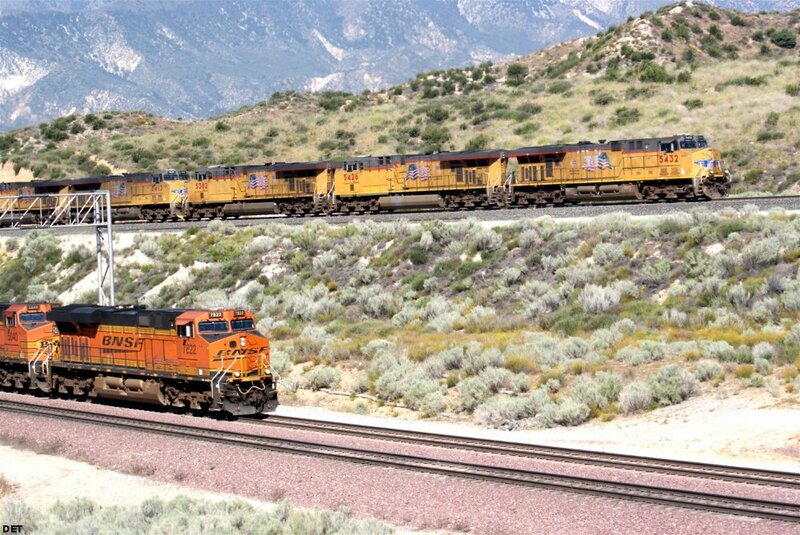 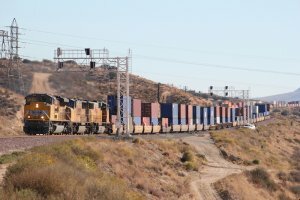 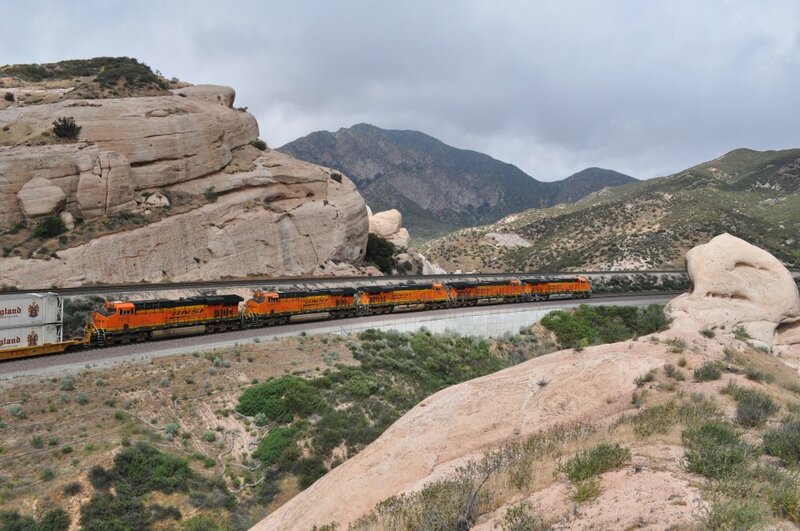 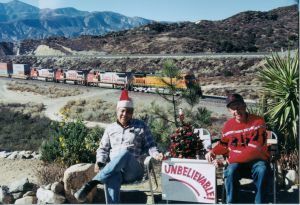 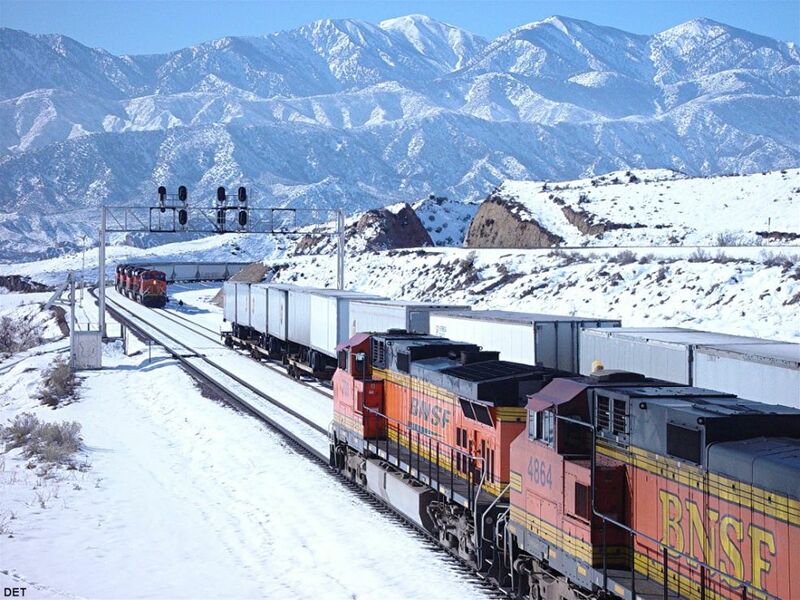 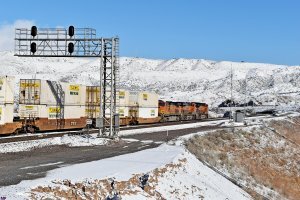 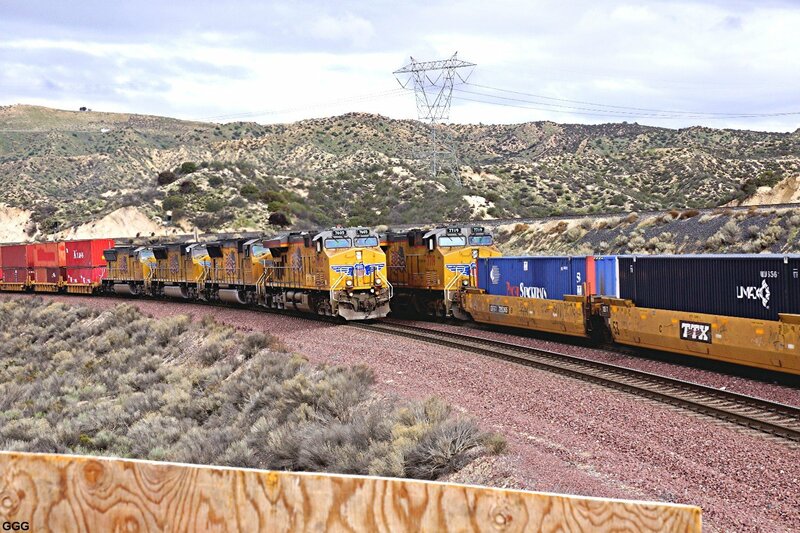 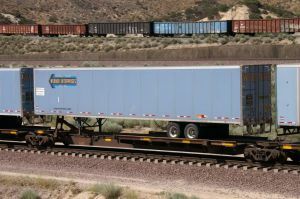 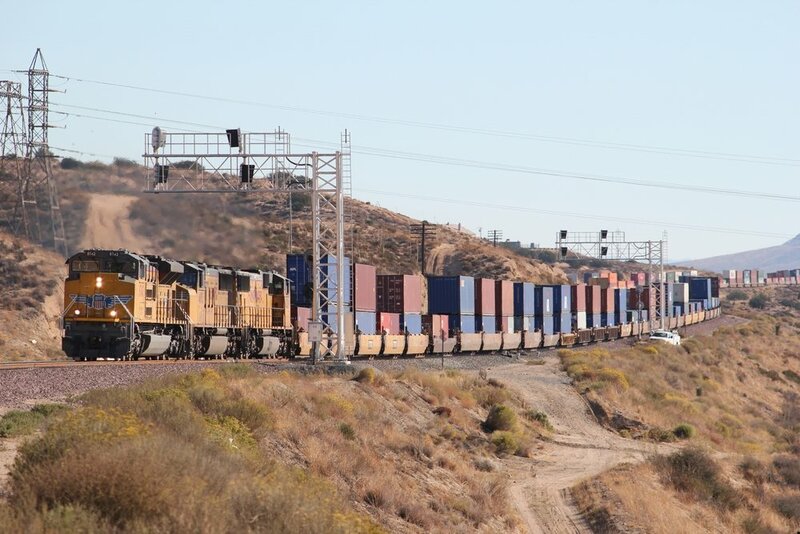 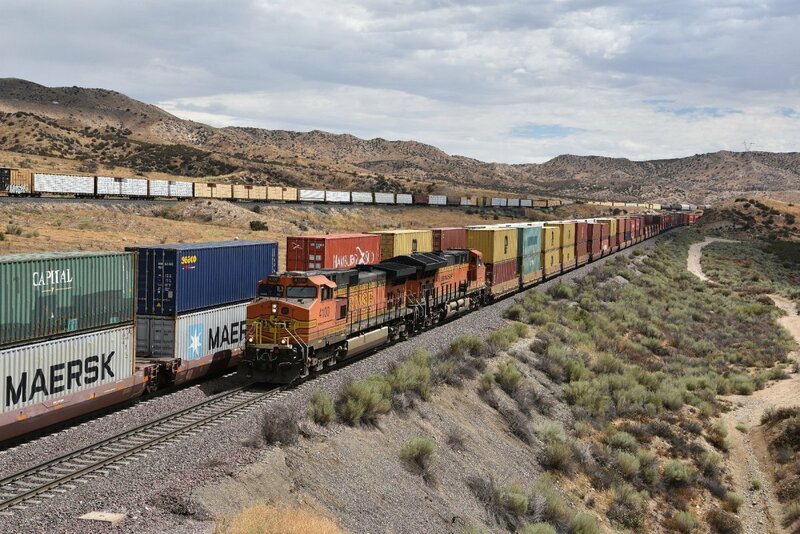 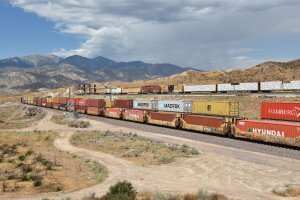 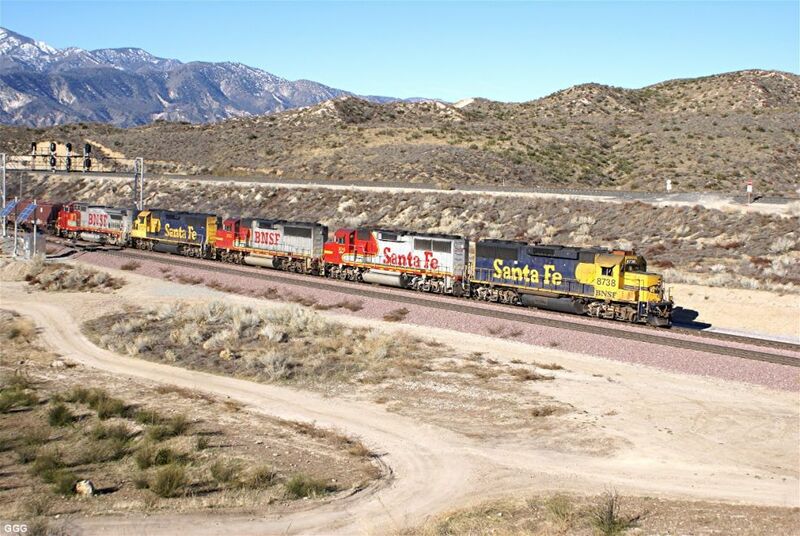 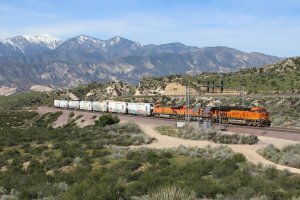 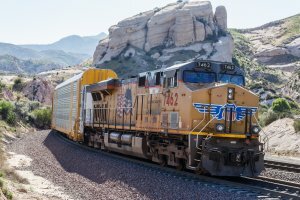 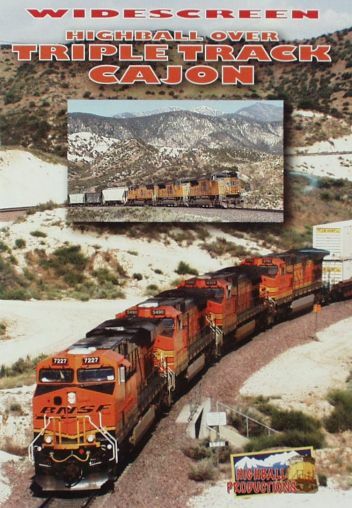 BNSF was building a 3rd Main Track thru Cajon Pass. It was built along the # 1 (north) track (2,2 % grade). 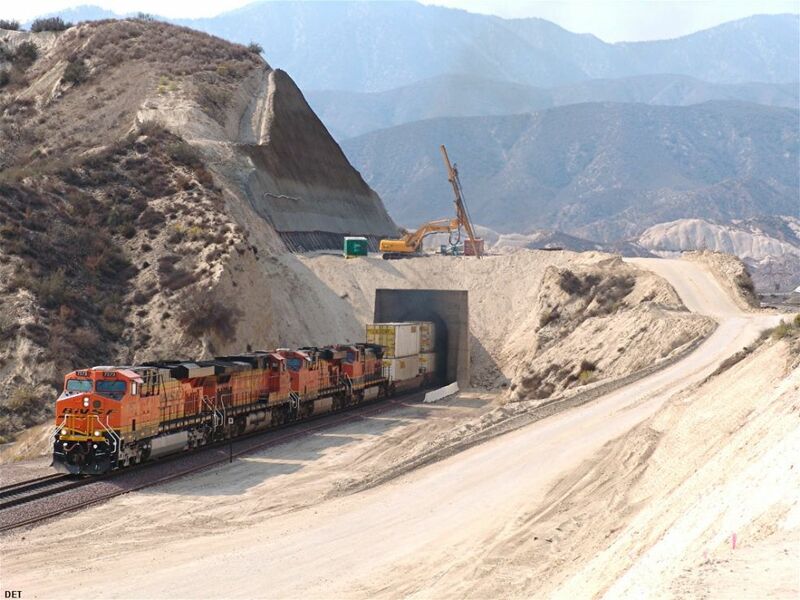 The only 2 tunnels in Cajon have been daylighted. 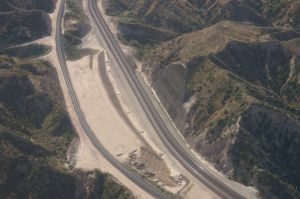 This one of a time project was completed on November 07, 2008. 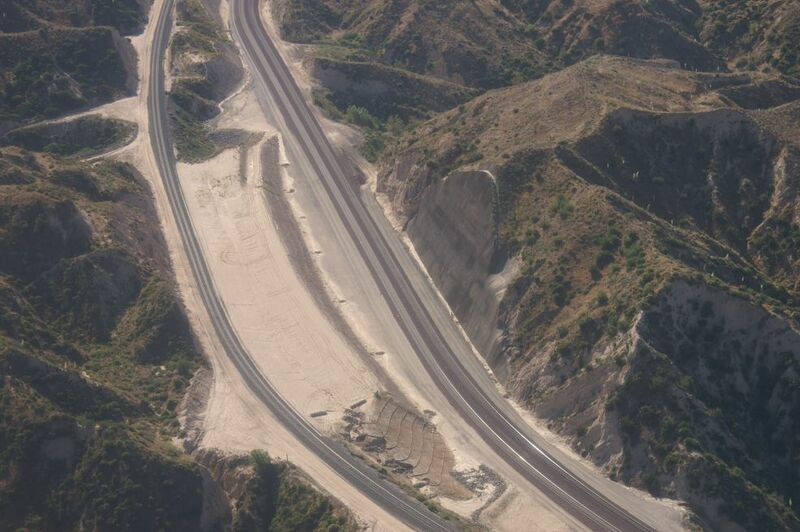 See the difference between 2005 and 2008 as the famous Tunnels 1 and 2 are gone forever. 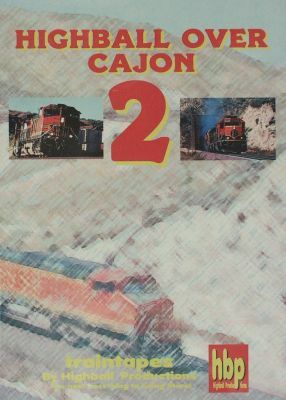 Album 35: more Cajon Photos will follow later !! Producer Title Min. 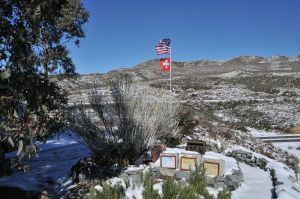 year photo my no.